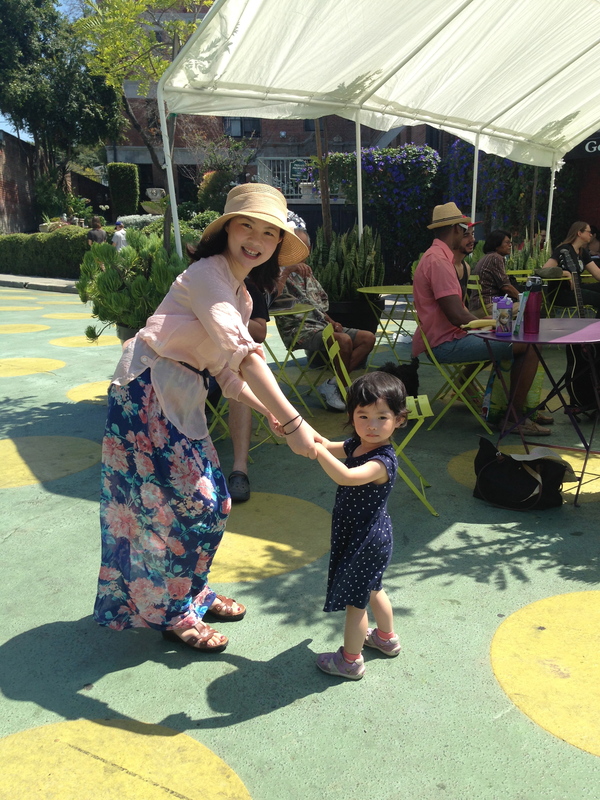 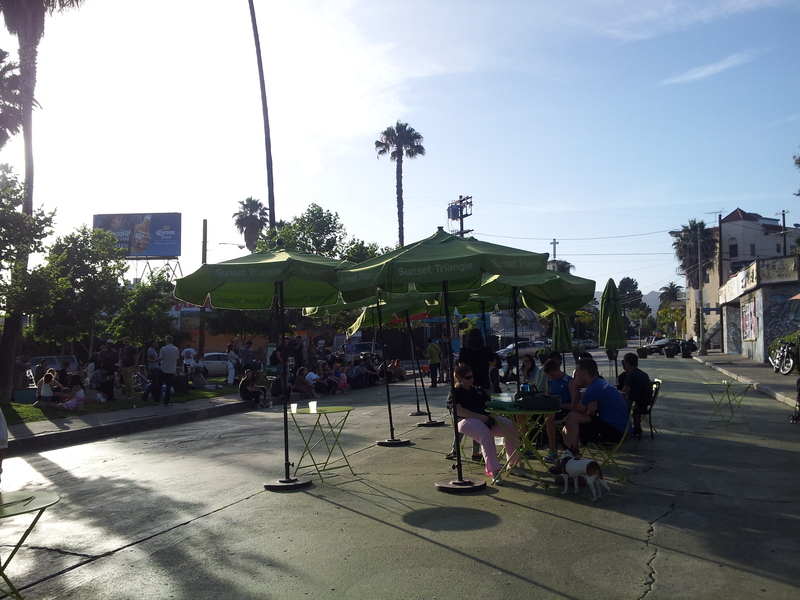 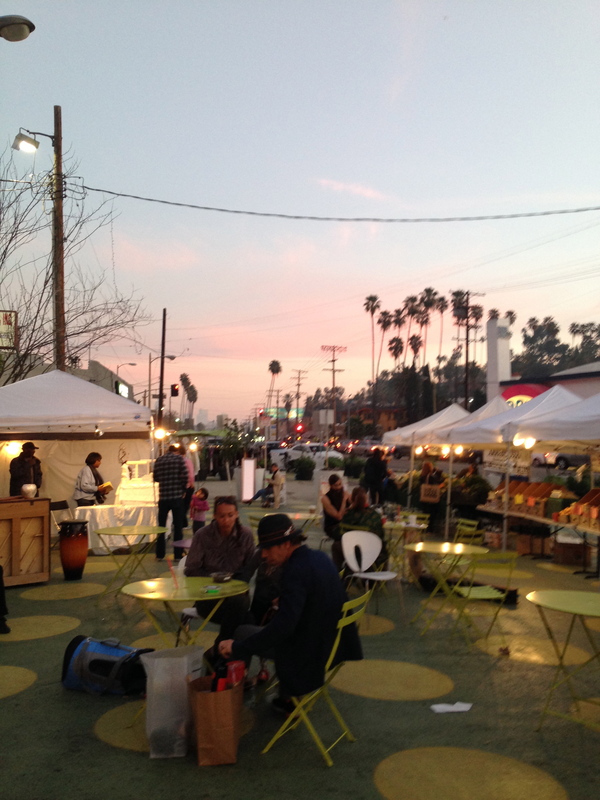 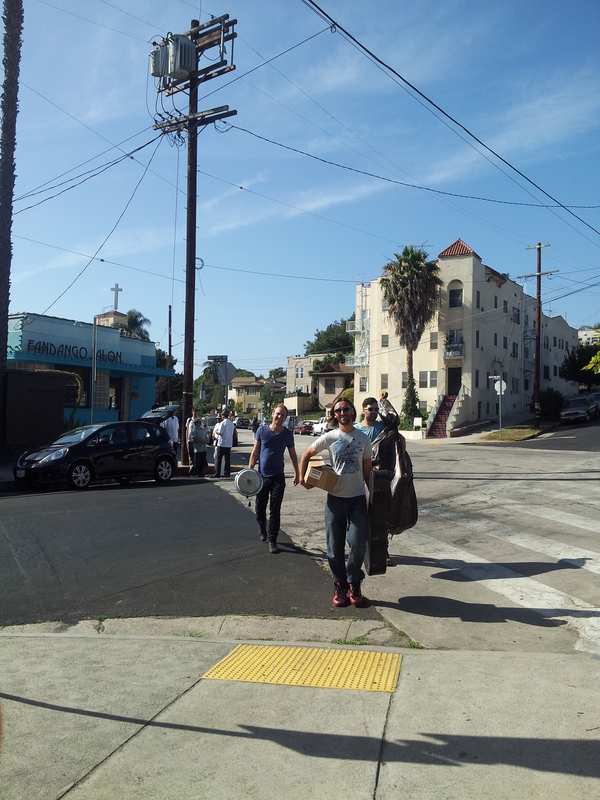 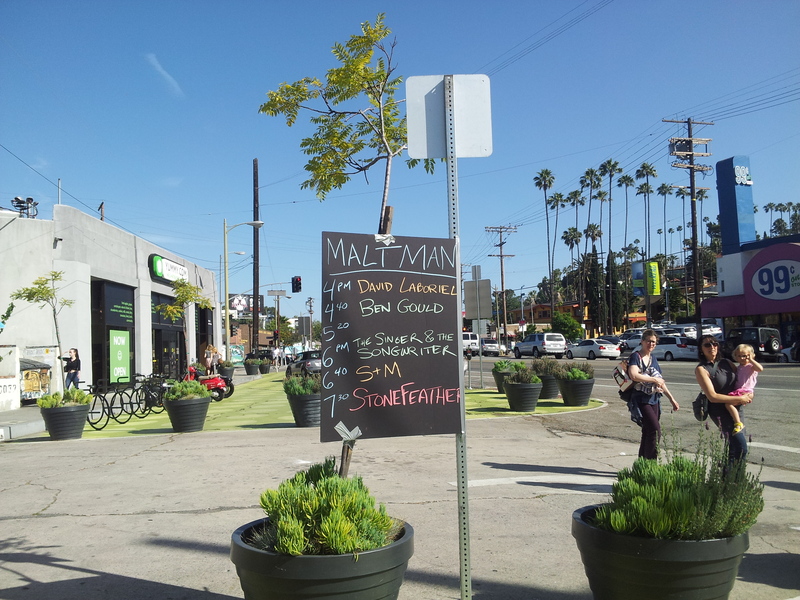 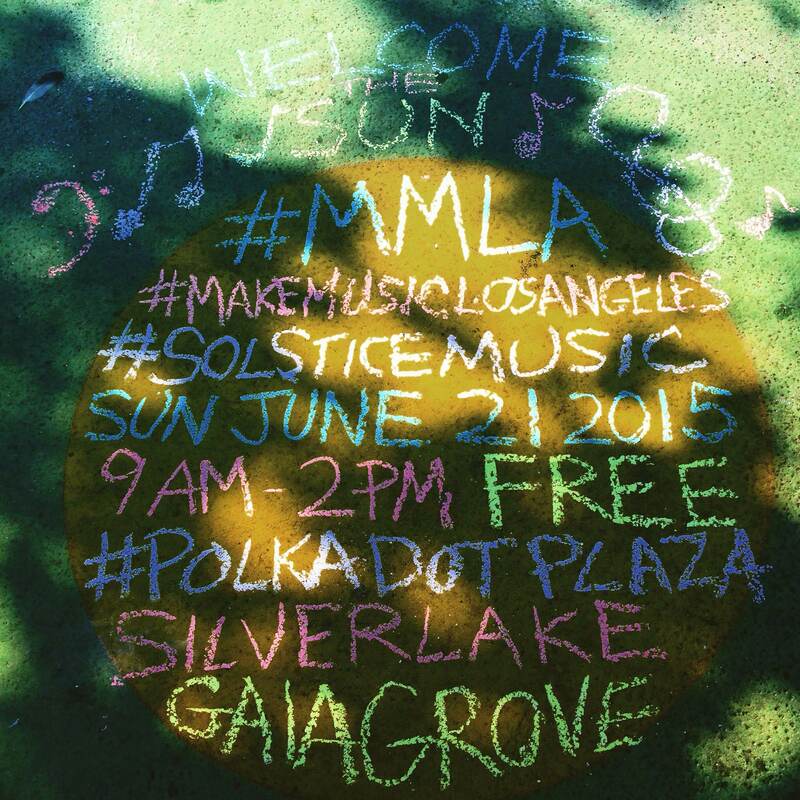 We are warming up for the Summer ~ some great community events in Silver Lake this weekend! 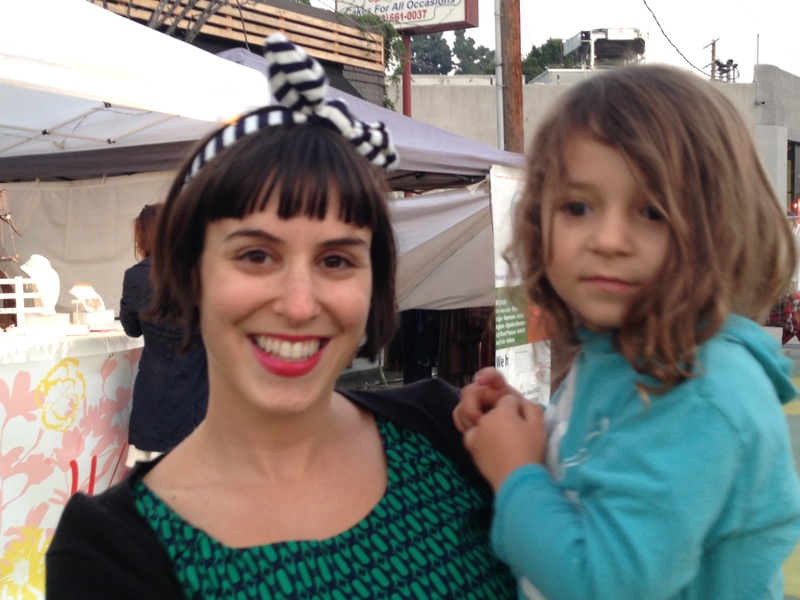 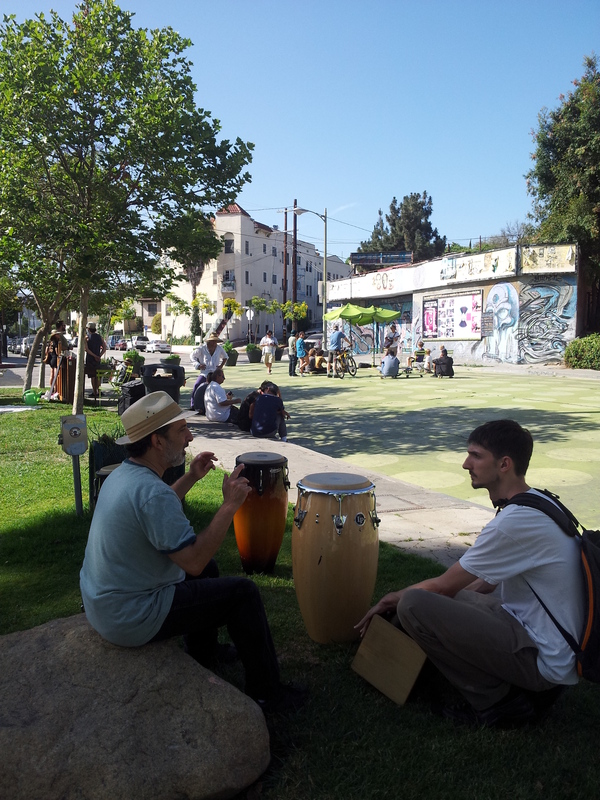 Saturday 6/20 at Micheltorena Community Garden is our Barrel Cob Oven Build! 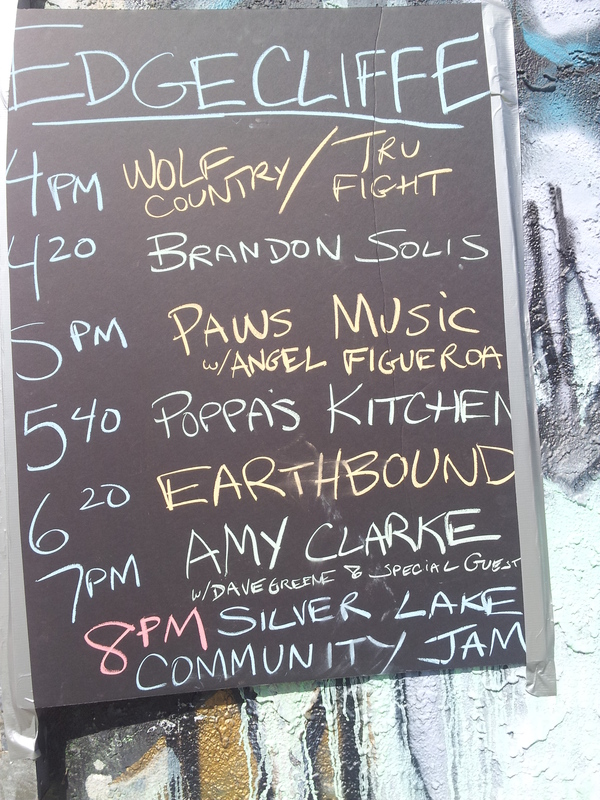 A full day of mud, food and fun! 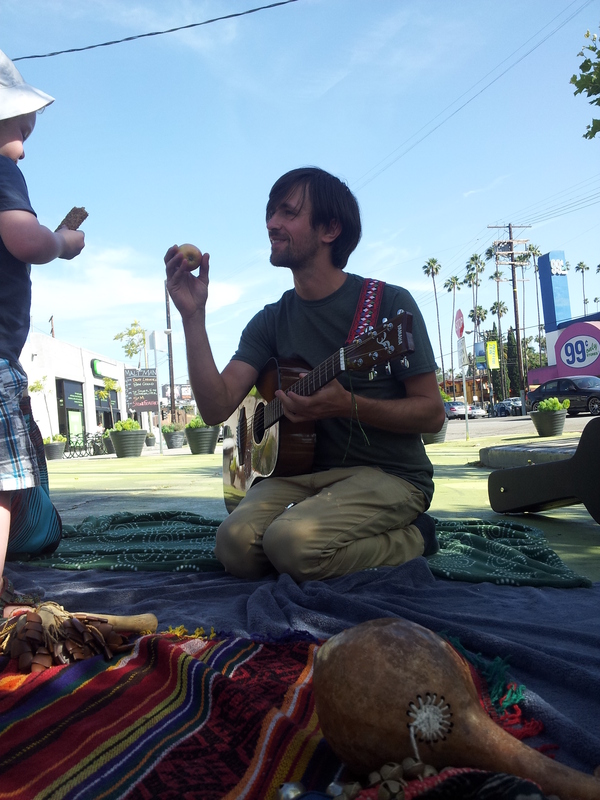 We’ll have a potluck lunch and be led by Sir Cobalot (Miguel Elliott) to construct the wonderful new addition to our community garden, & we already have over 200 cob bricks made from a few weeks ago ready to build 🙂 Bread, pizza and pies made with delicious garden herbs, greens & vegetables all summer long! 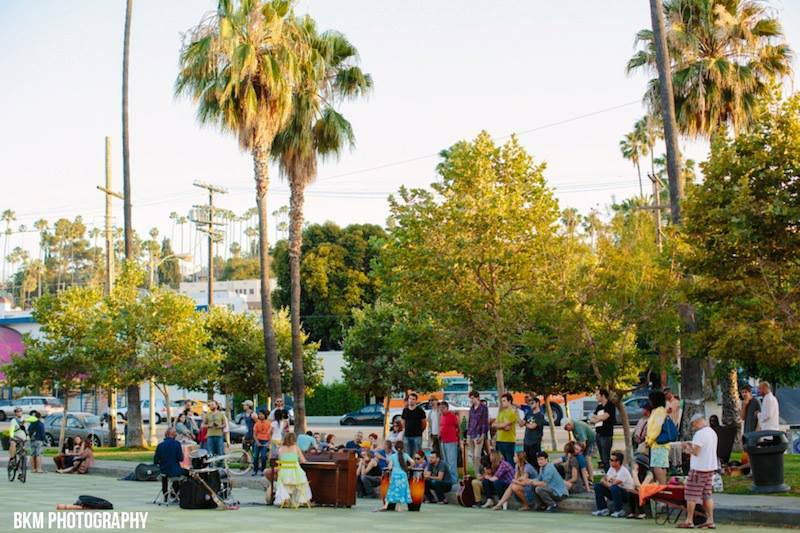 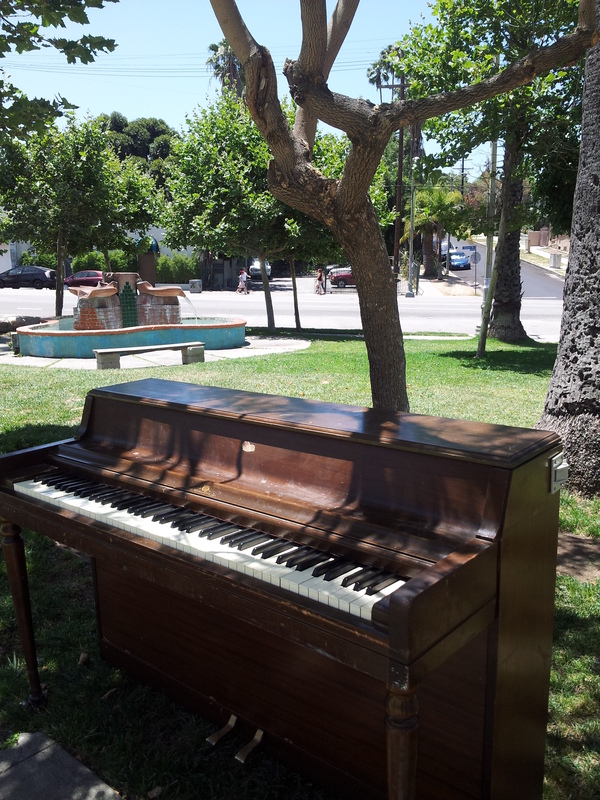 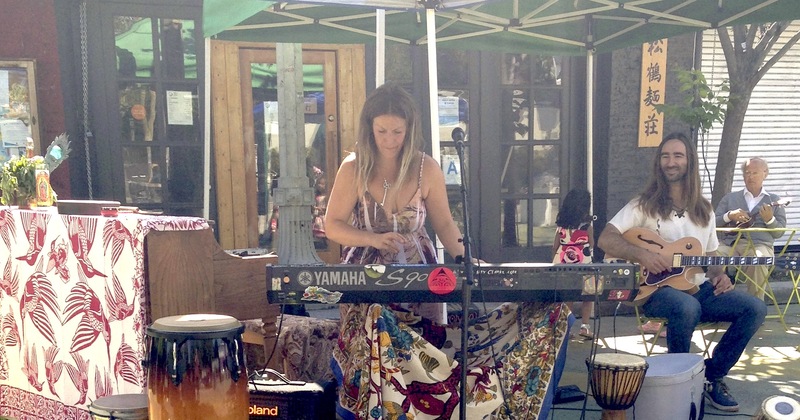 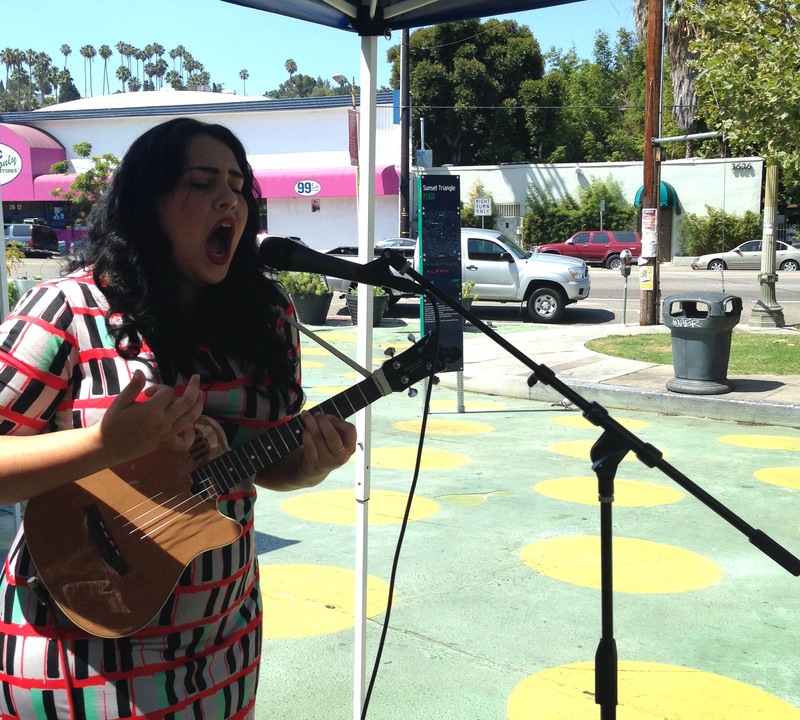 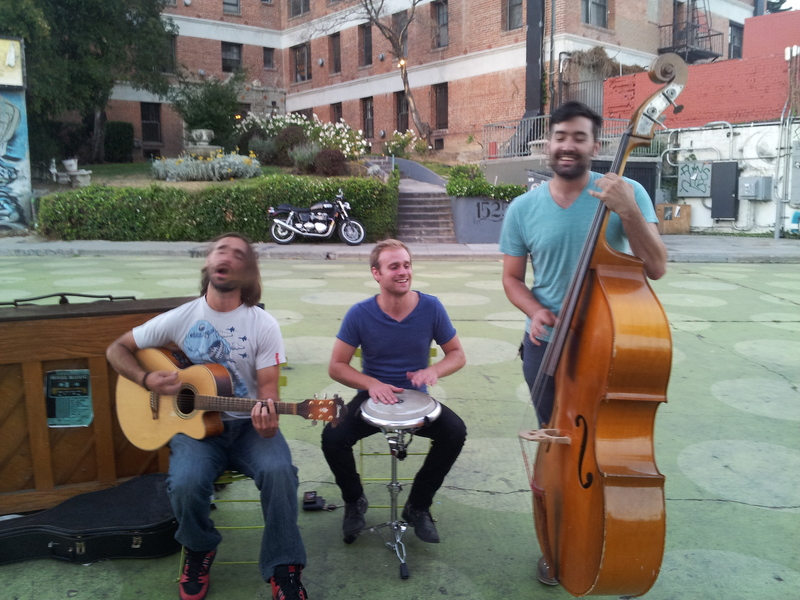 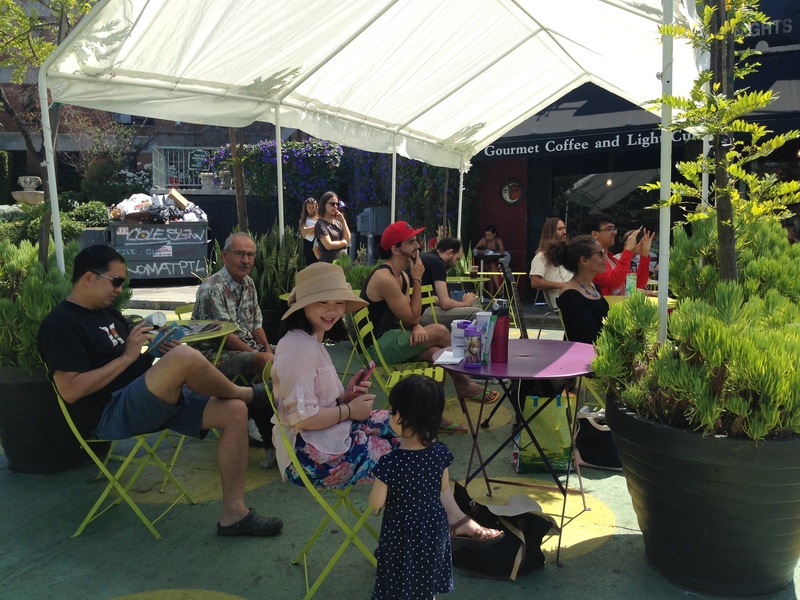 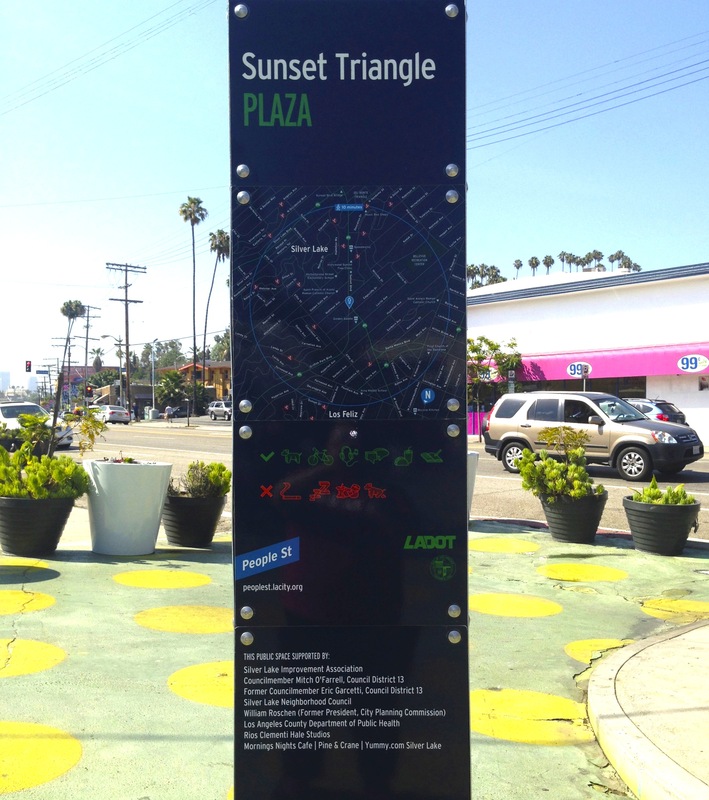 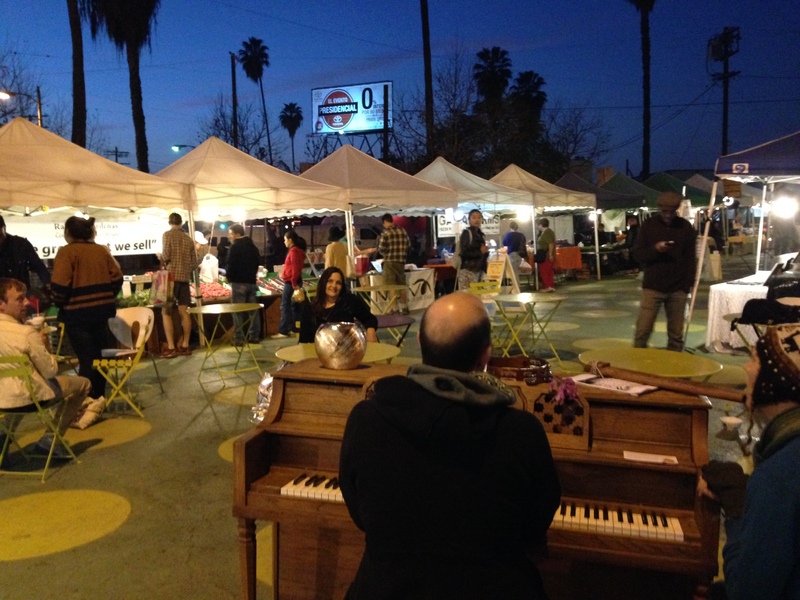 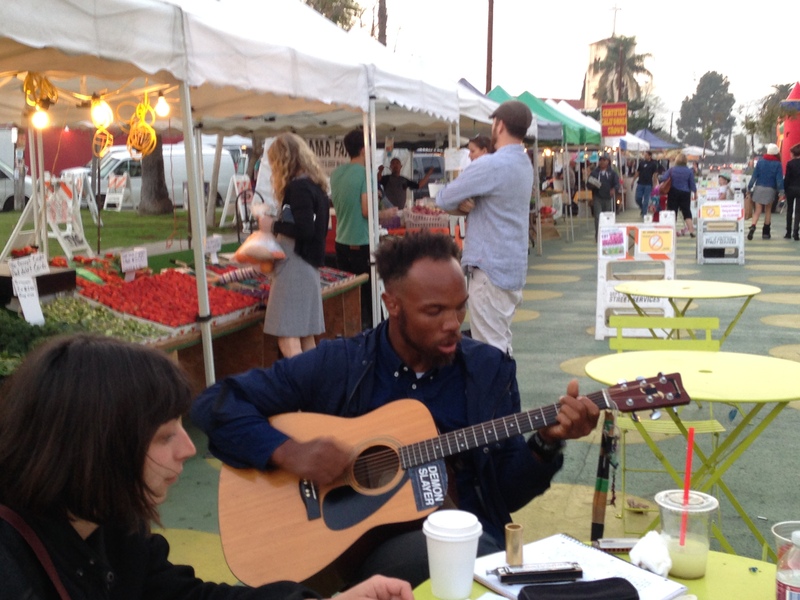 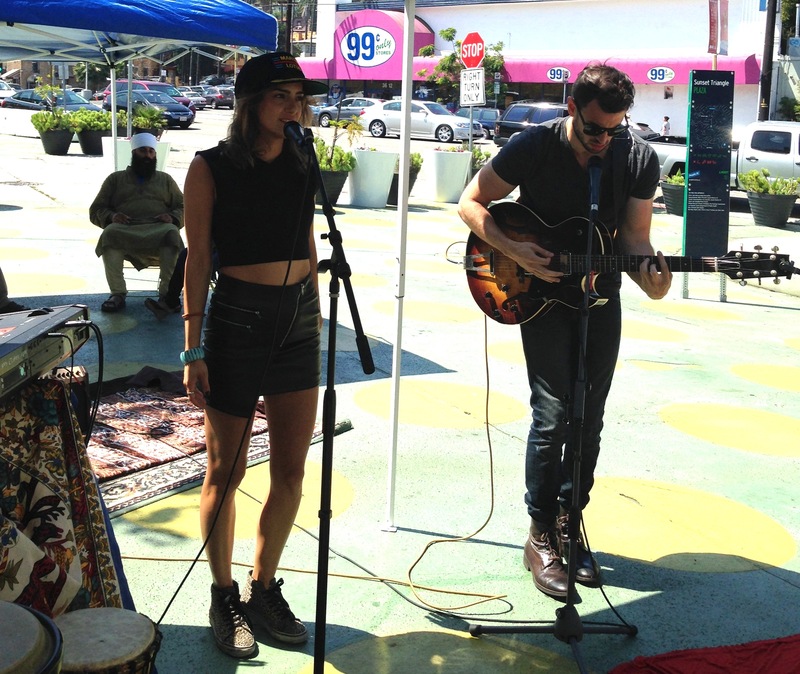 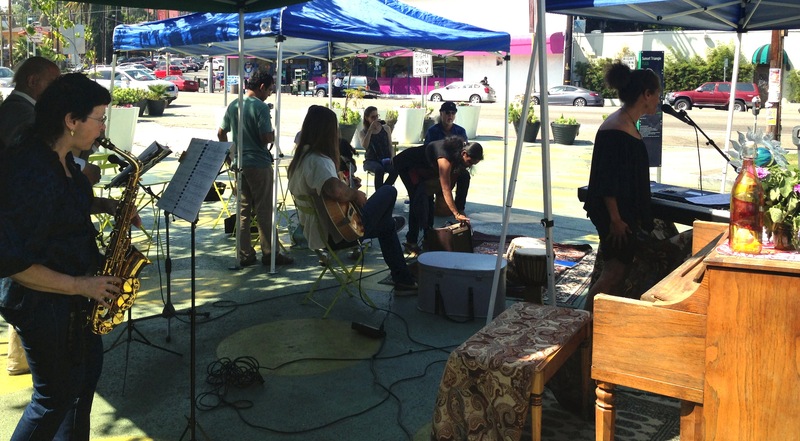 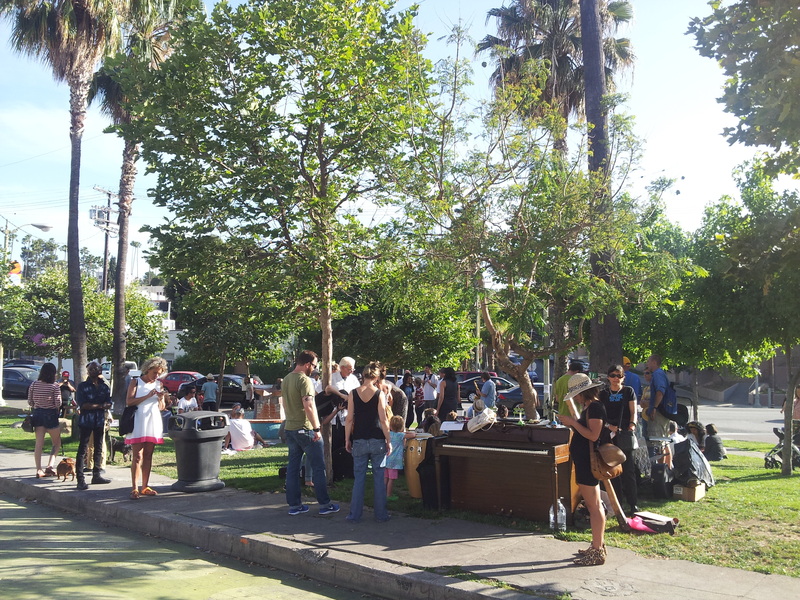 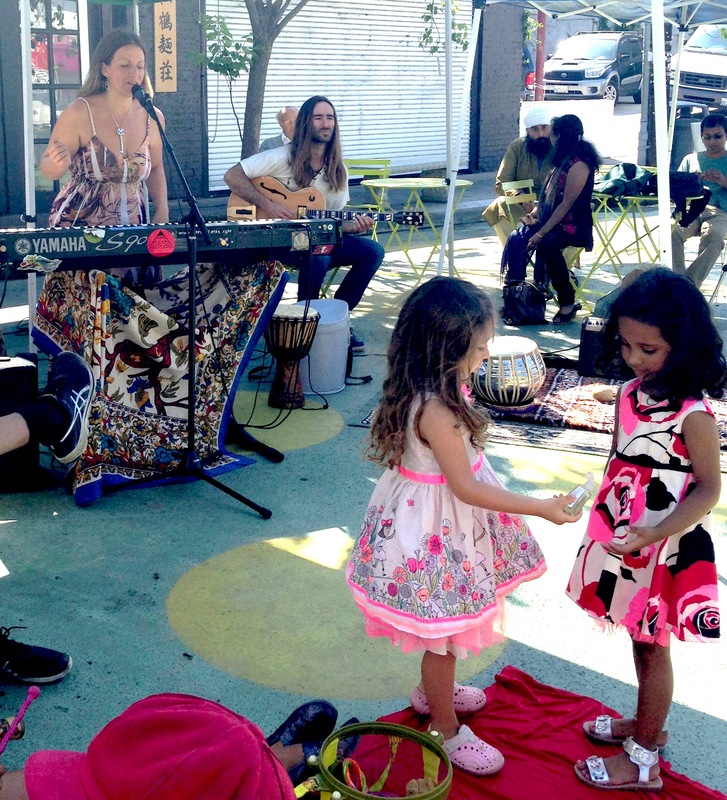 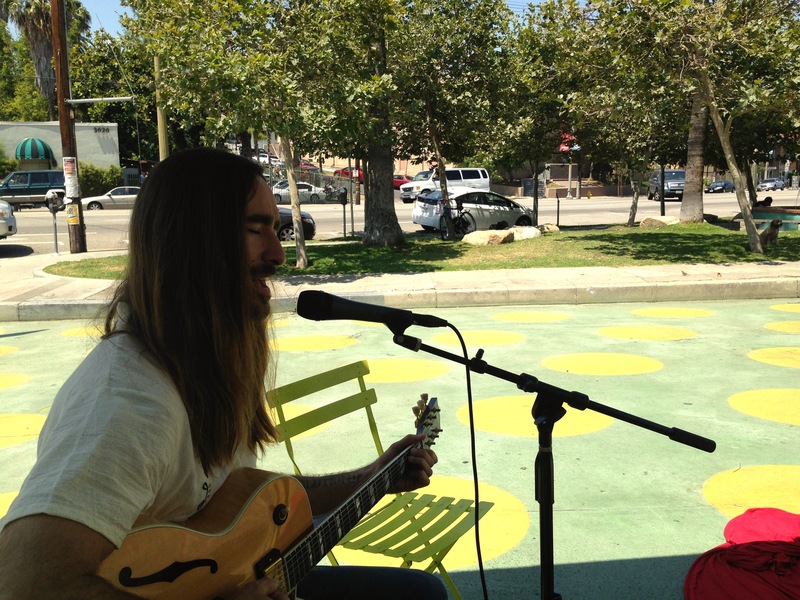 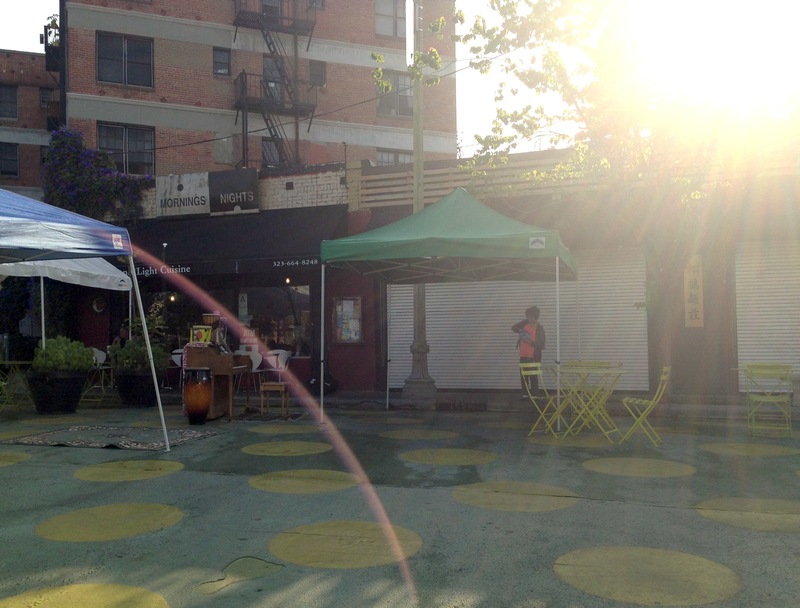 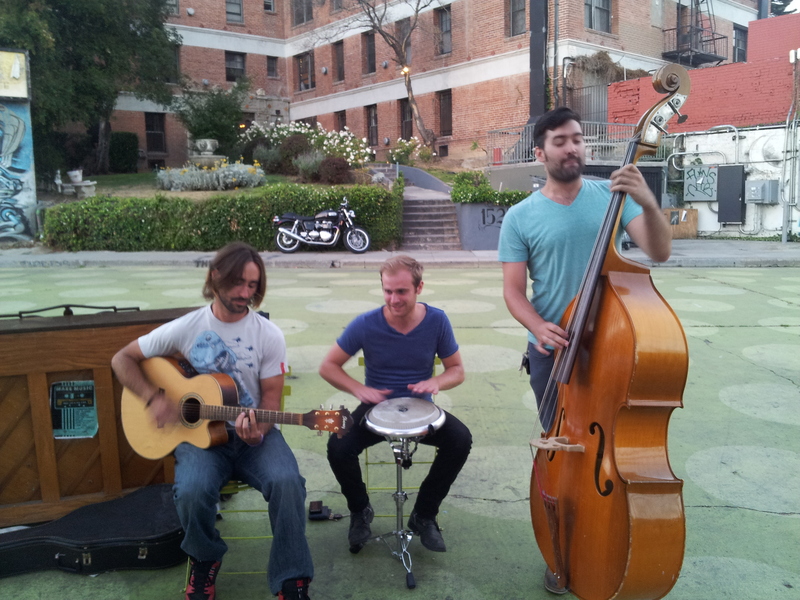 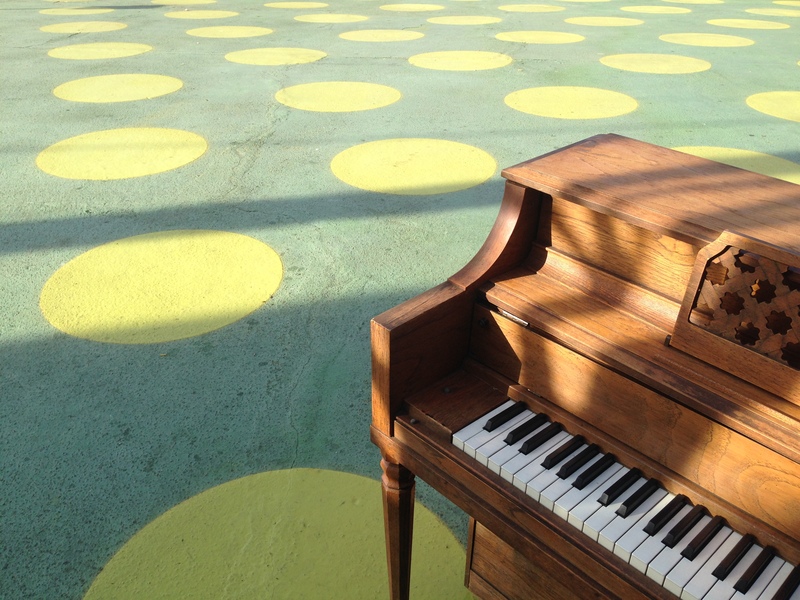 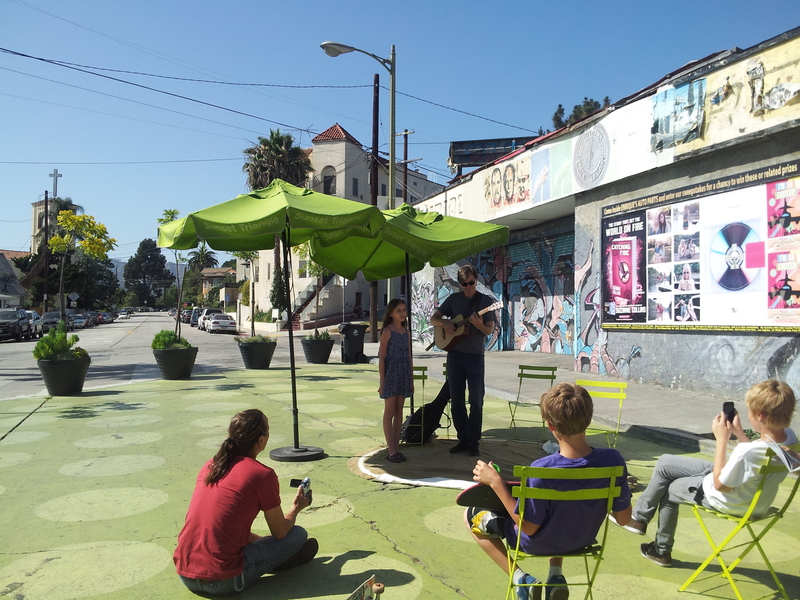 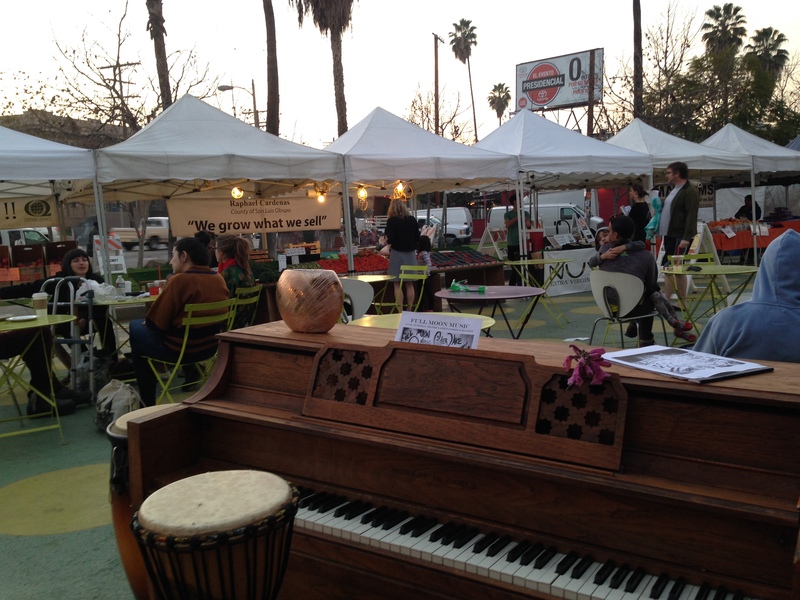 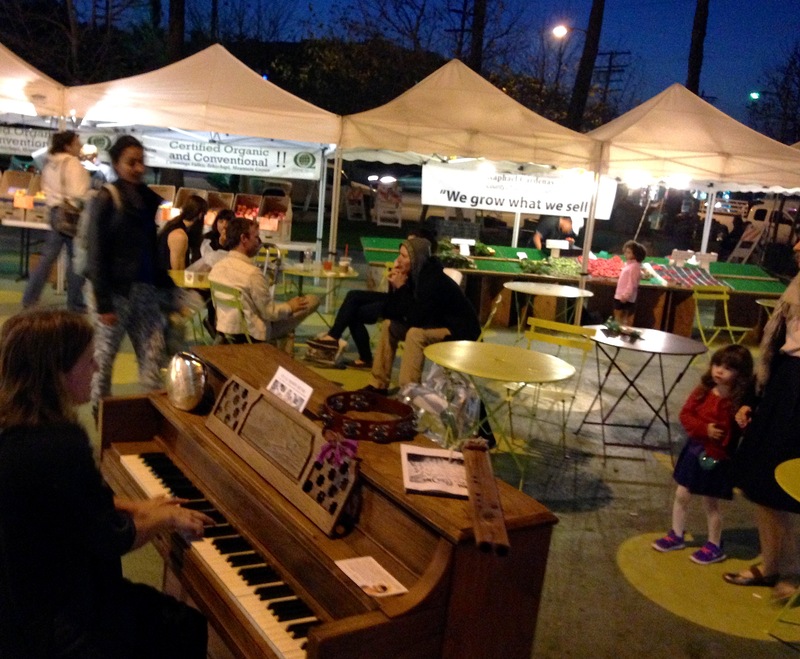 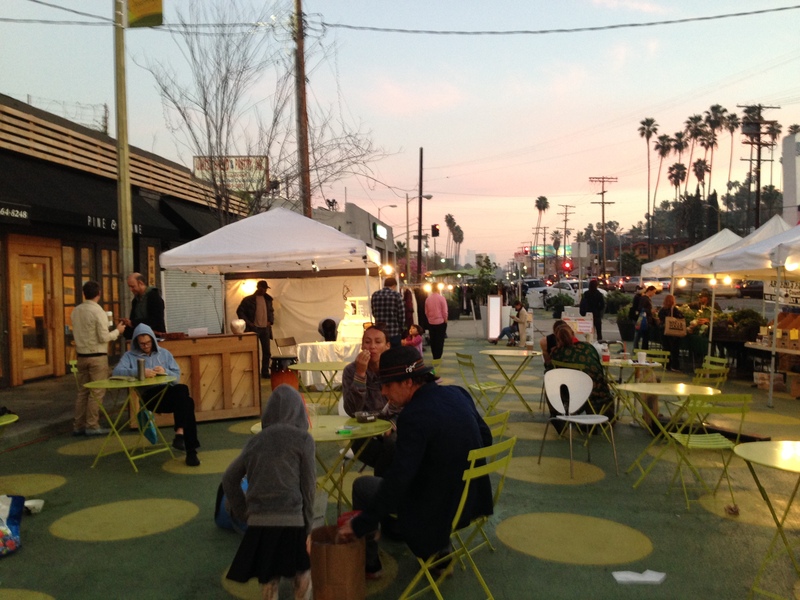 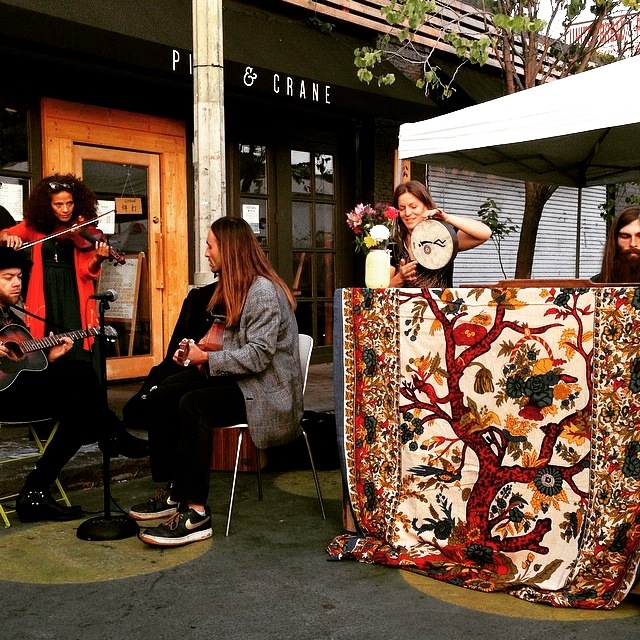 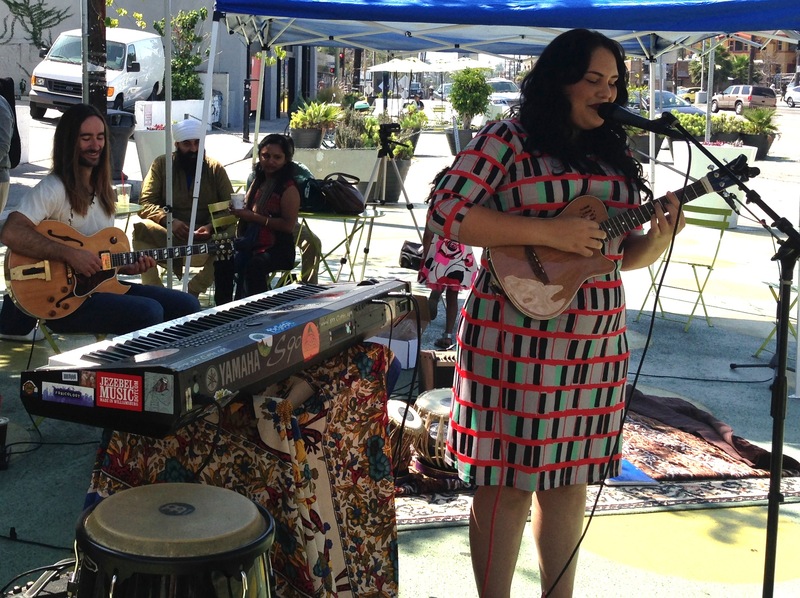 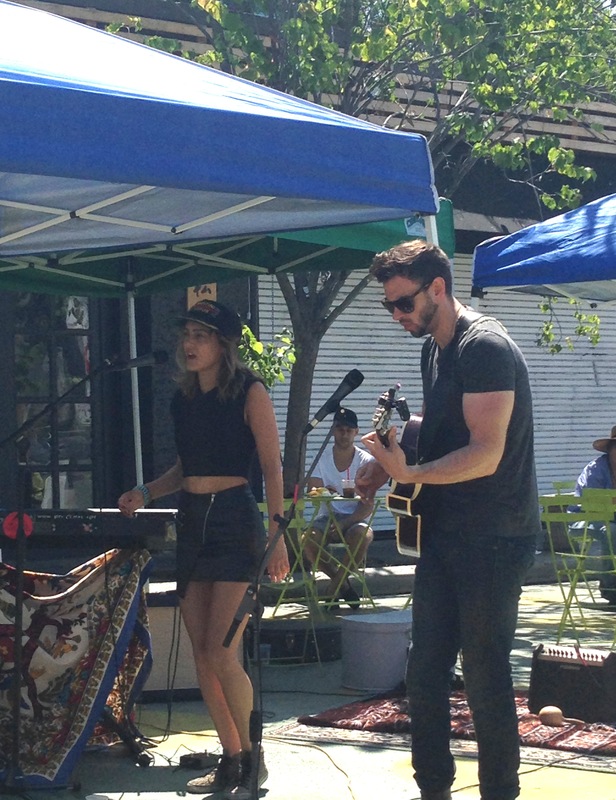 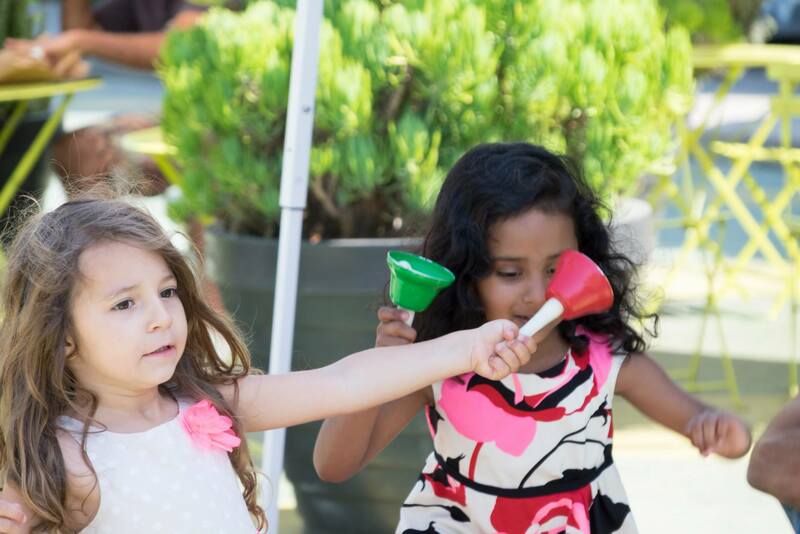 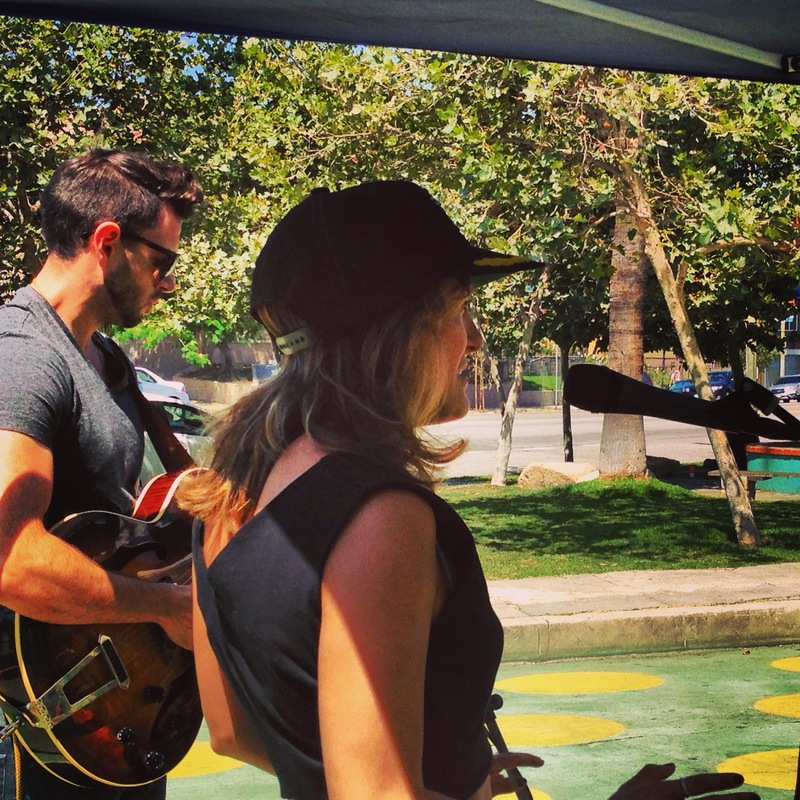 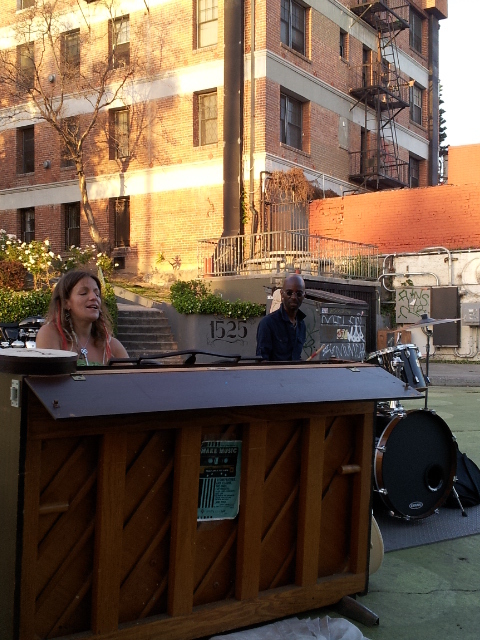 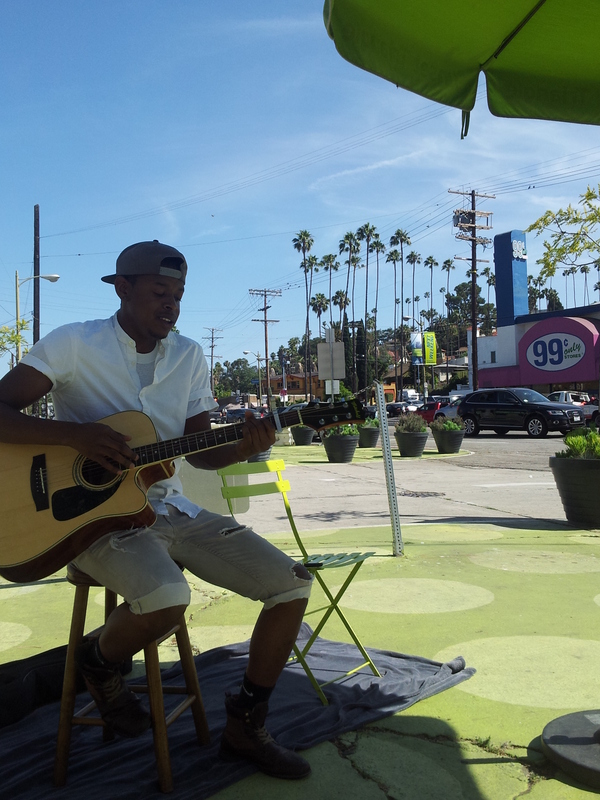 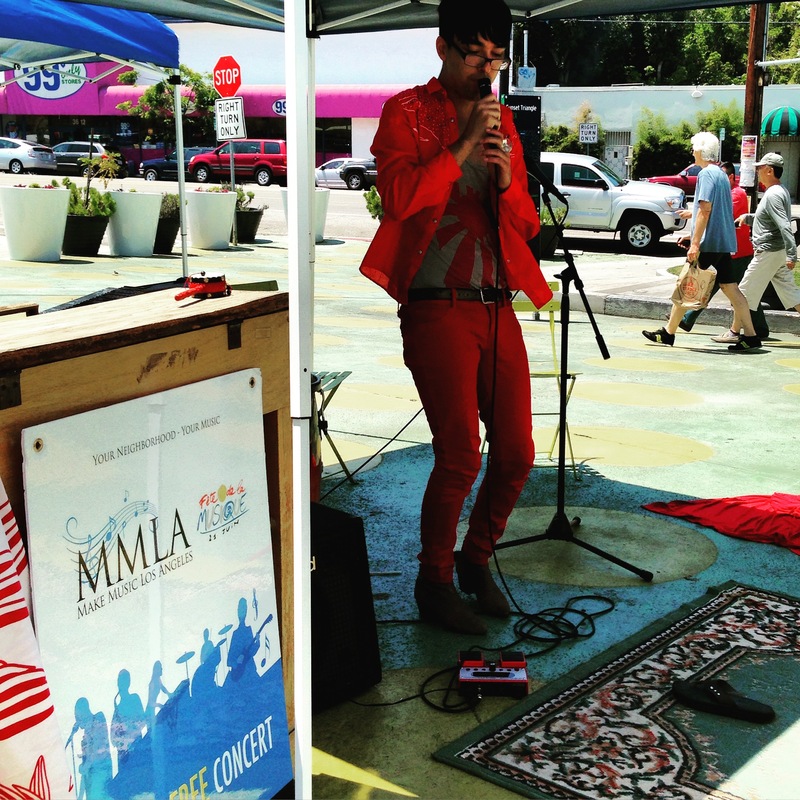 and Sunday 6/21 in Sunset Triangle Plaza is the 3rd Annual Make Music Silver Lake free concert (part of Make Music LA & global festival Fete De La Musique)! 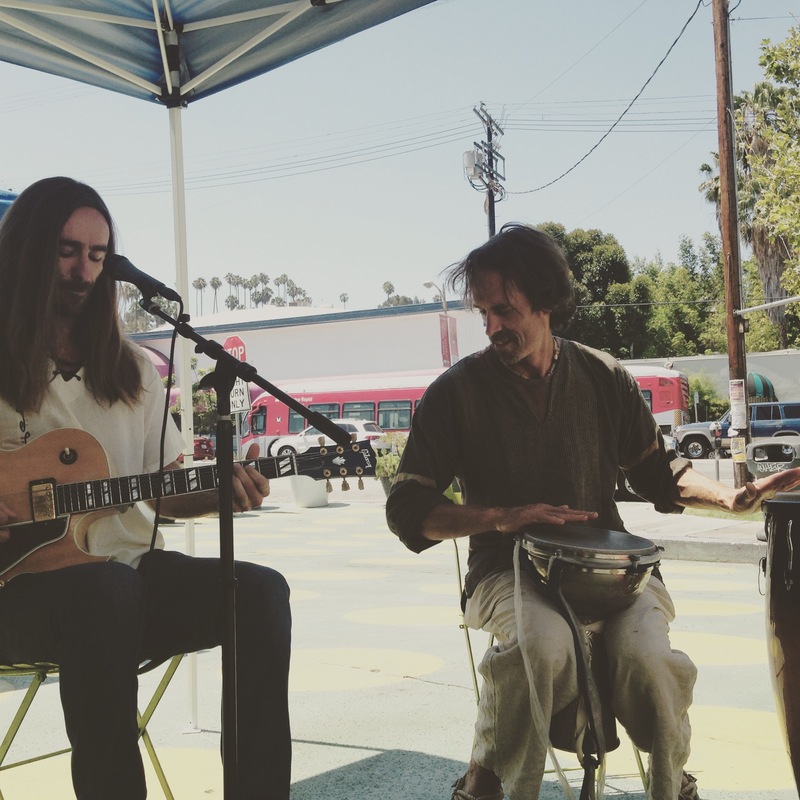 The concert will be in the morning this year, to welcome Summer Solstice, the longest day of the year, and to kick off the all-day festival Make Music Los Angeles! 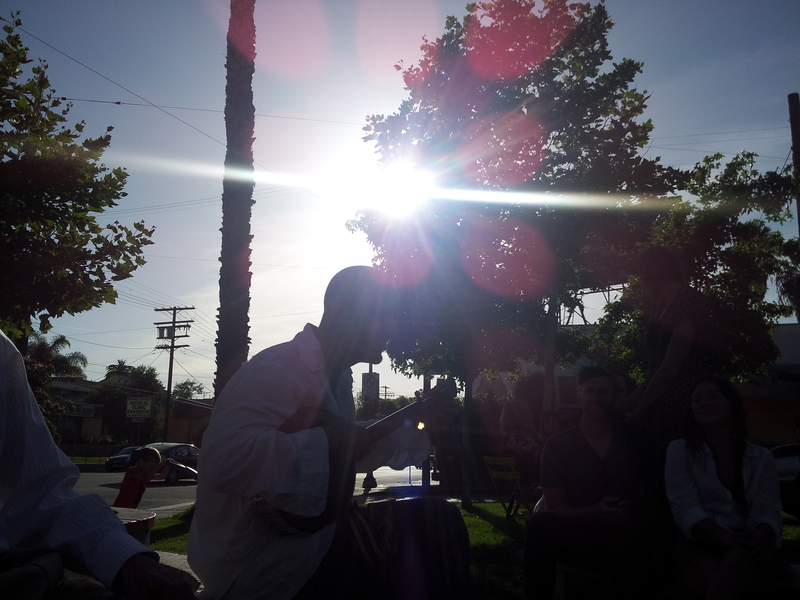 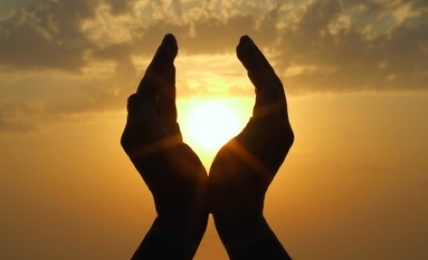 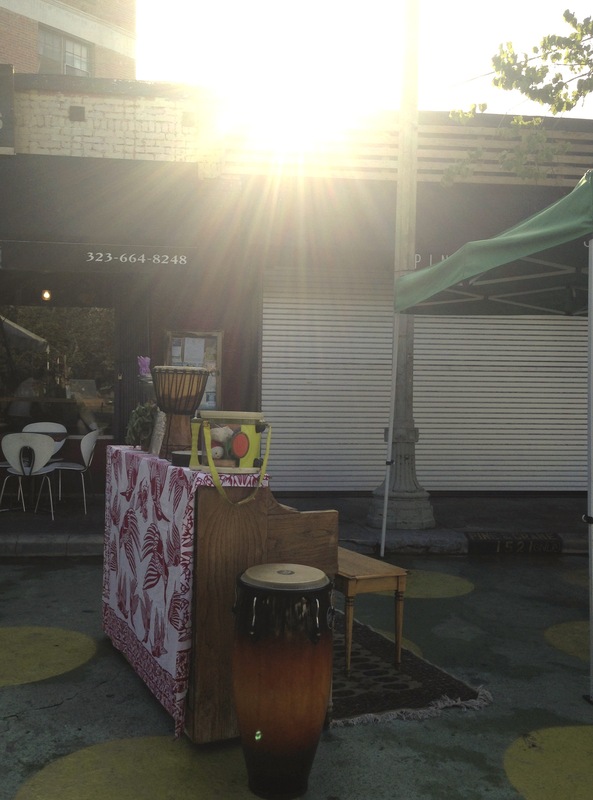 (Part of global festival Fete De La Musique) ~ exact moment of Solstice is actually around 9:30AM this Sunday morning! 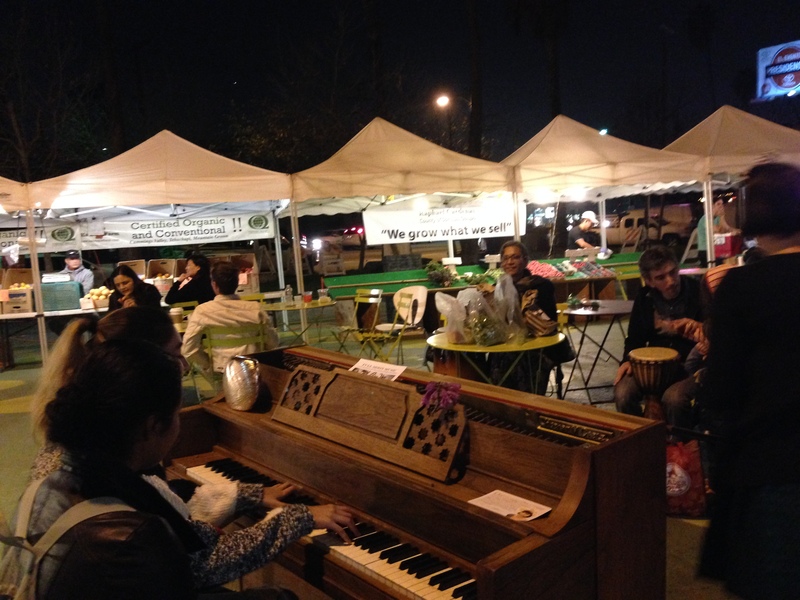 please bring instruments if you have them & blankets to spread out in the Plaza picnic style…Thanks to Sunset Triangle Plaza, Genelle Le Vin & the Silver Lake Improvement Association, Silver Lake Neighborhood Council, Silver Lake Neighborhood Council Arts & Culture Committee, Make Music Los Angeles, Gaia Grove, Fête de la Musique, yummy.com, Pine & Crane, Mornings Nights, Nina Sorkin & more! 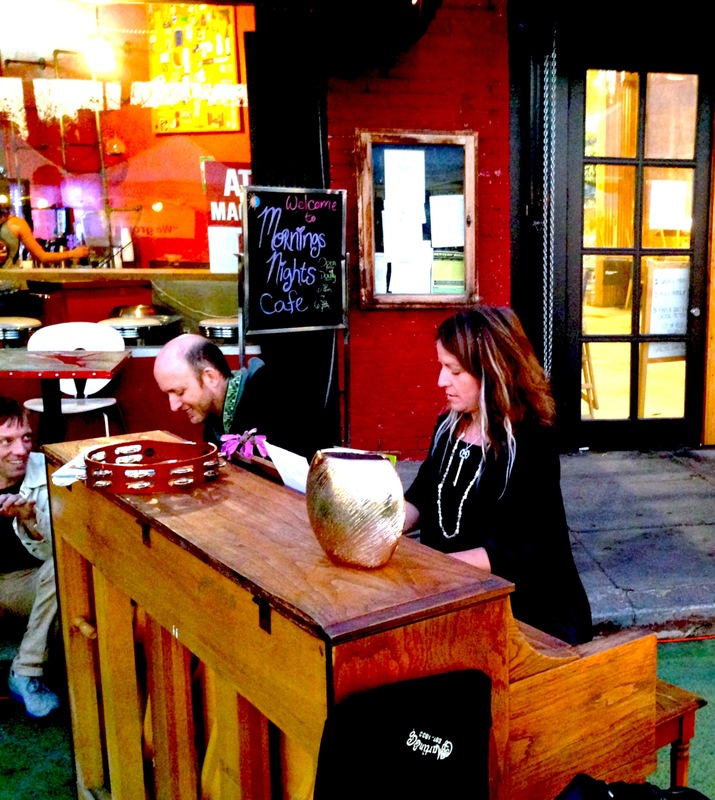 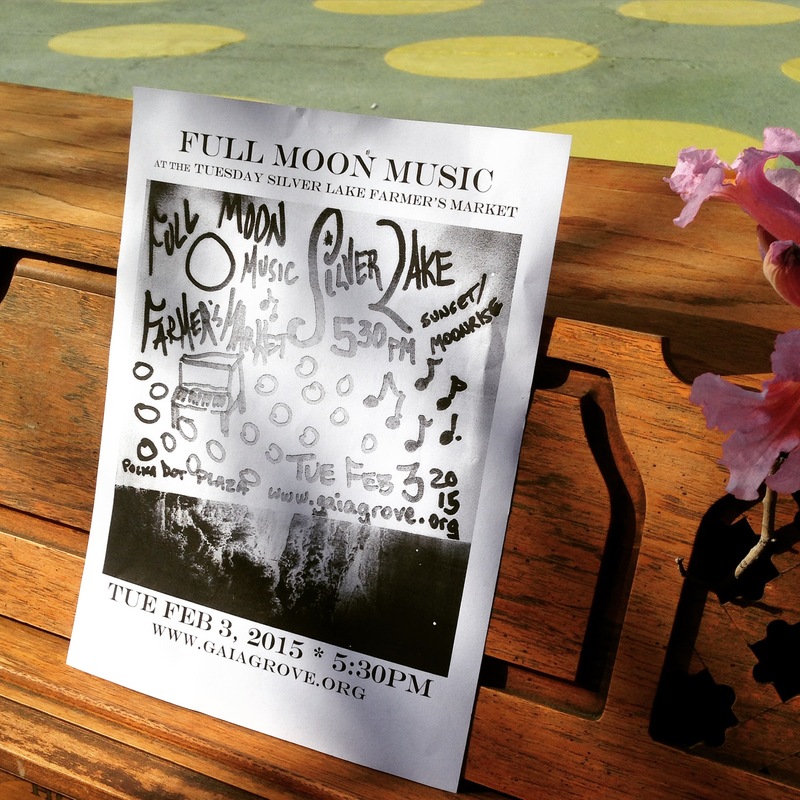 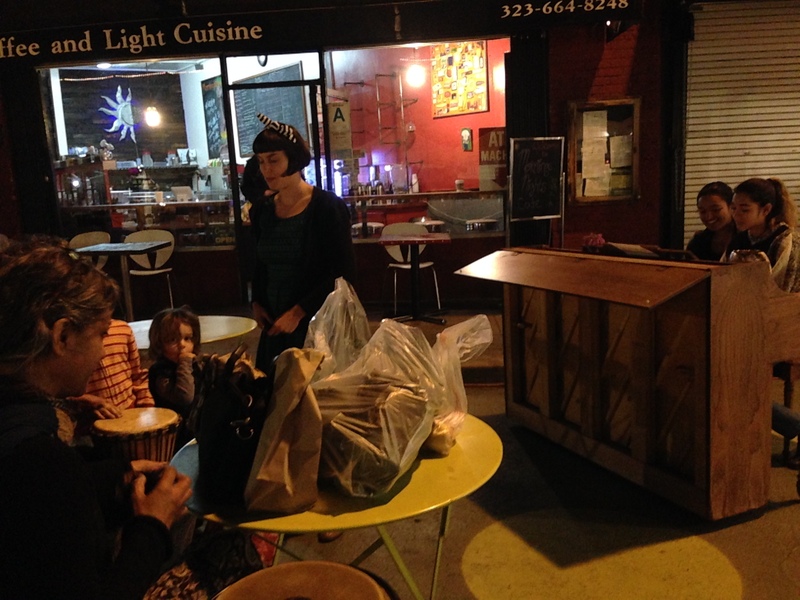 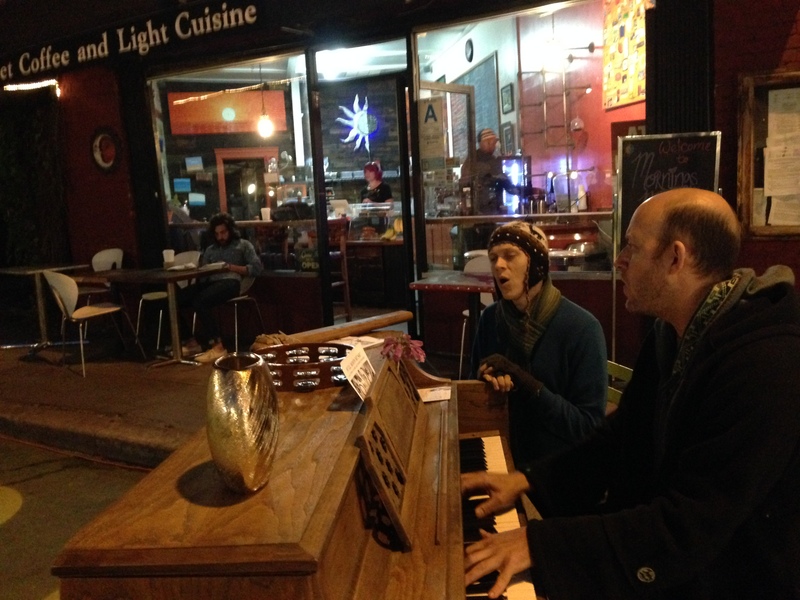 Photos from the first Full Moon Music gathering on 2-3-15 (featuring beautiful music by Runson, Laura, Chris, Rebecca, Peanut, Amy Clarke, Charles Herman-Wurmfeld, Jason Bushman, Ella Mira, Amina, and a surprise guest visiting from NYC. 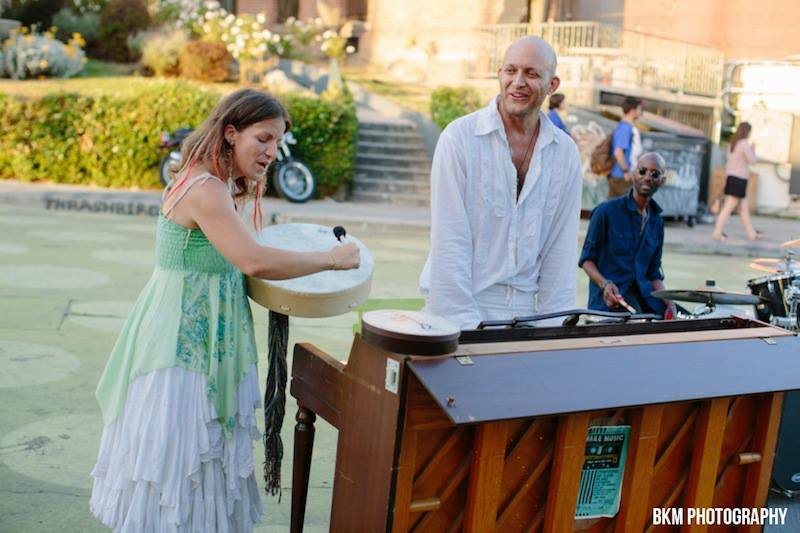 Photos by Nance Broderzen & Gaia Grove 🙂 Thanks to all who came out and shared songs! 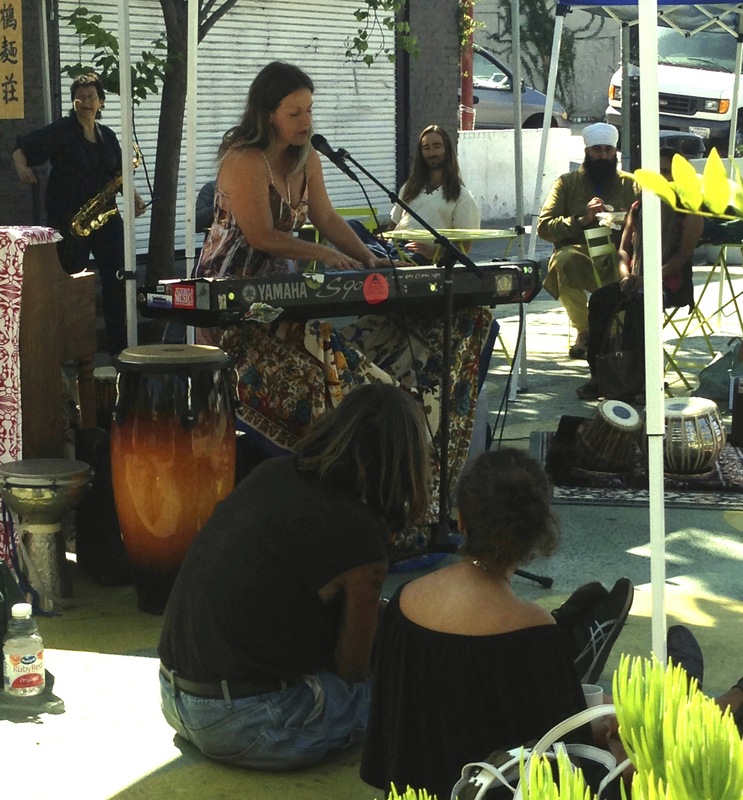 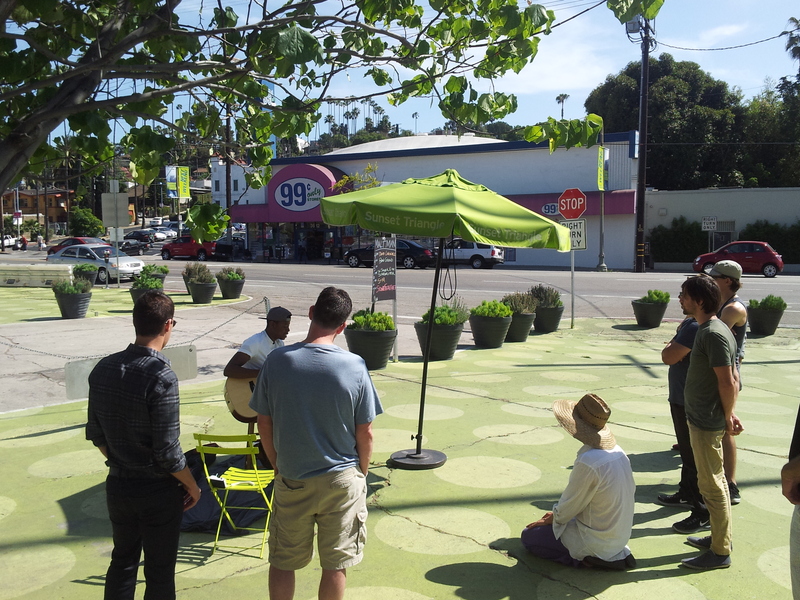 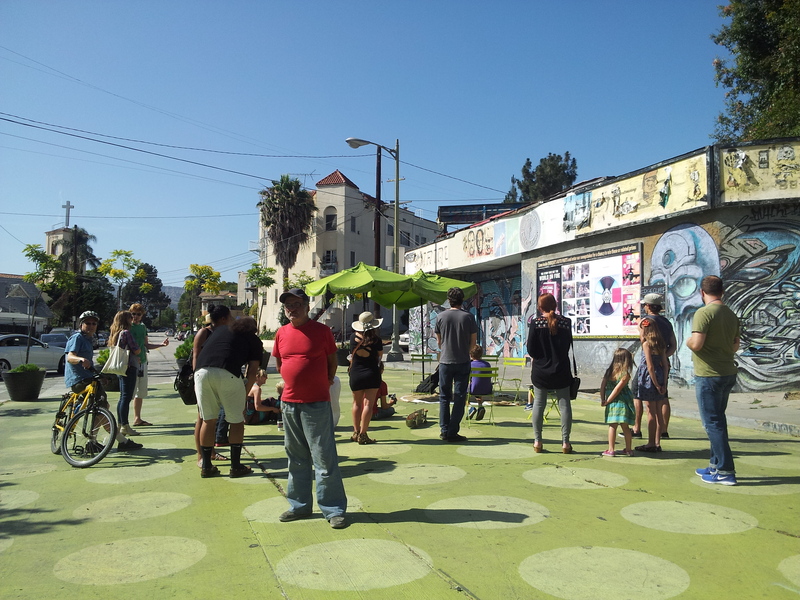 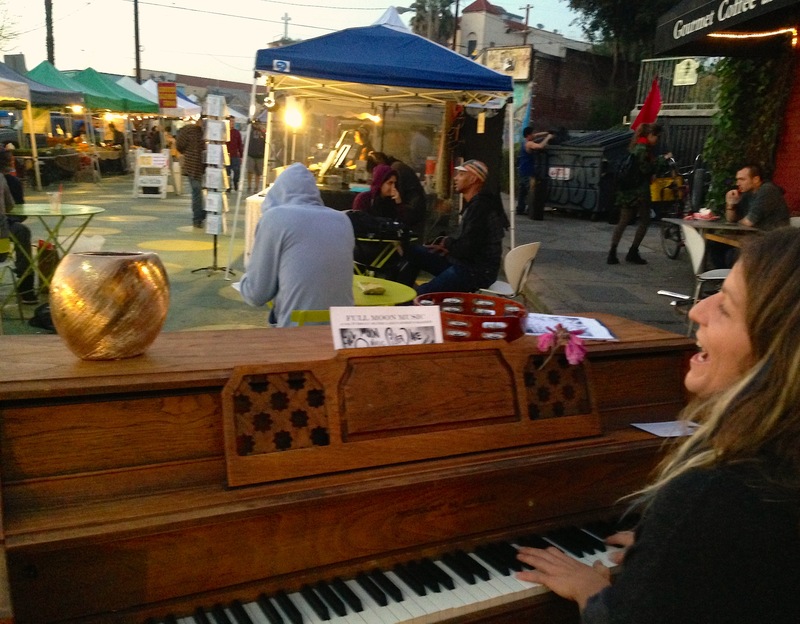 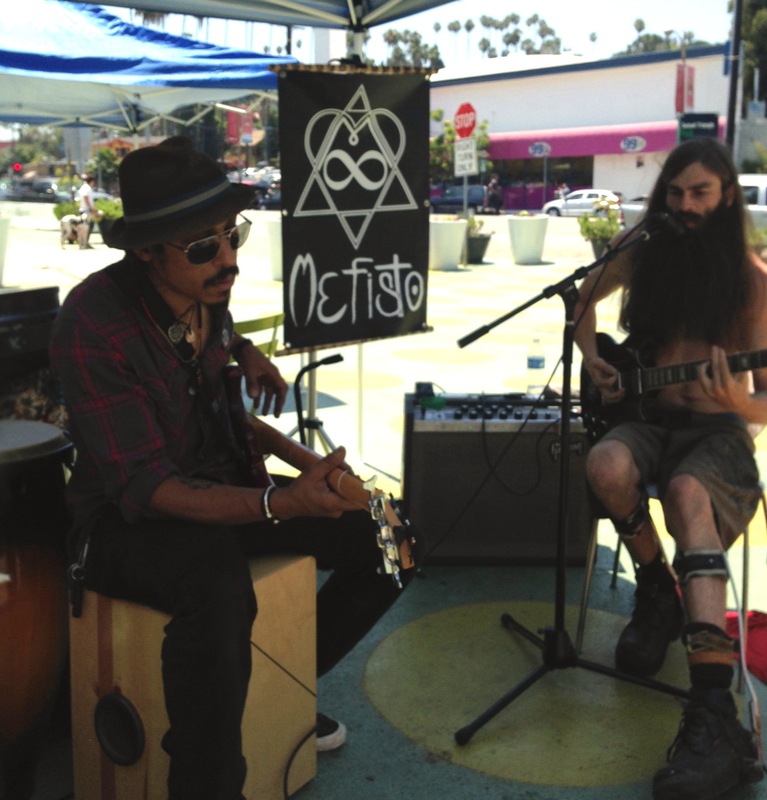 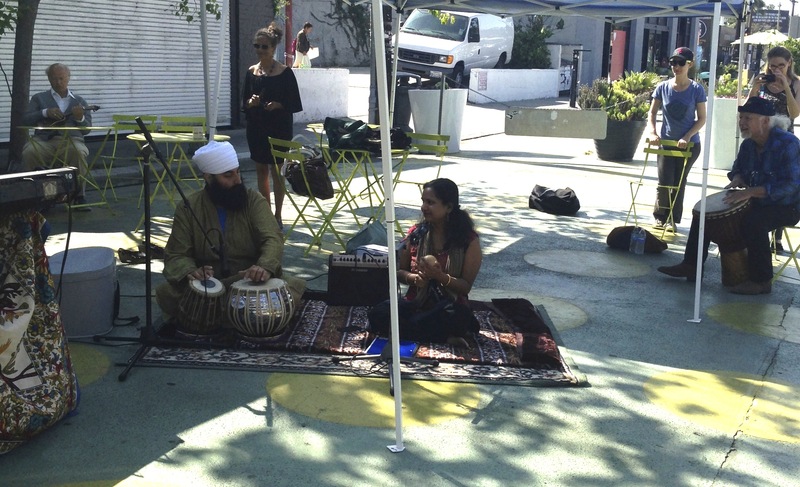 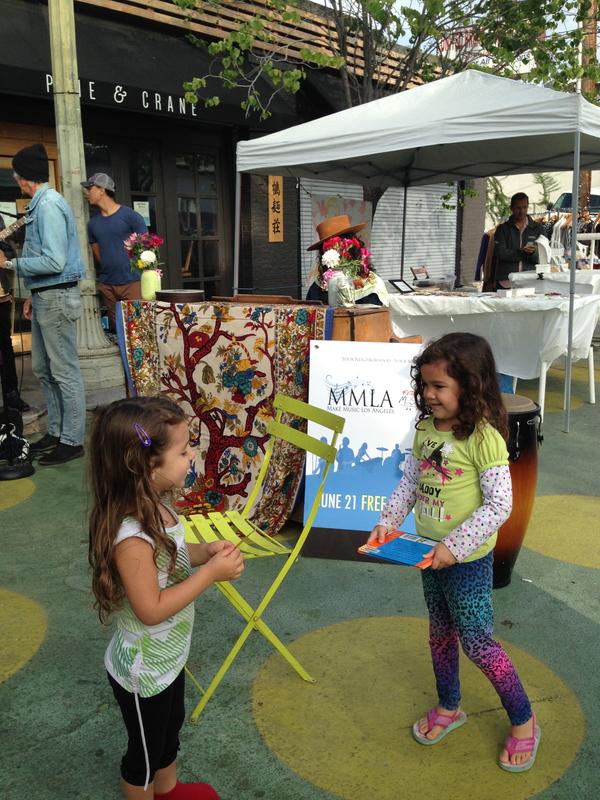 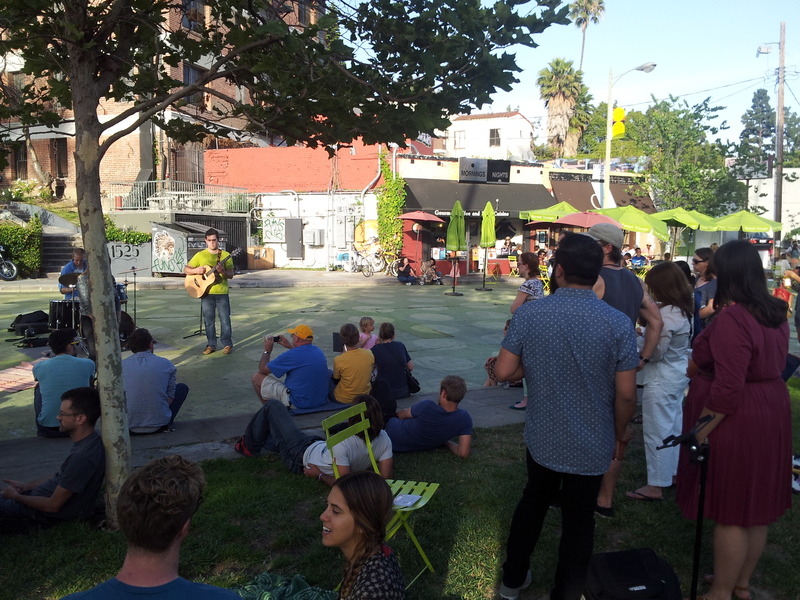 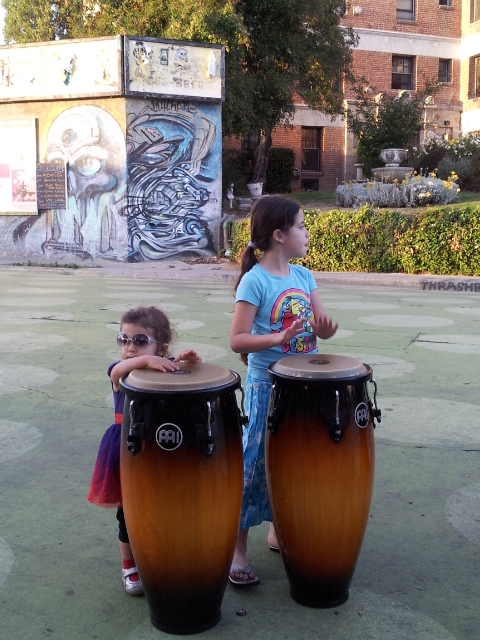 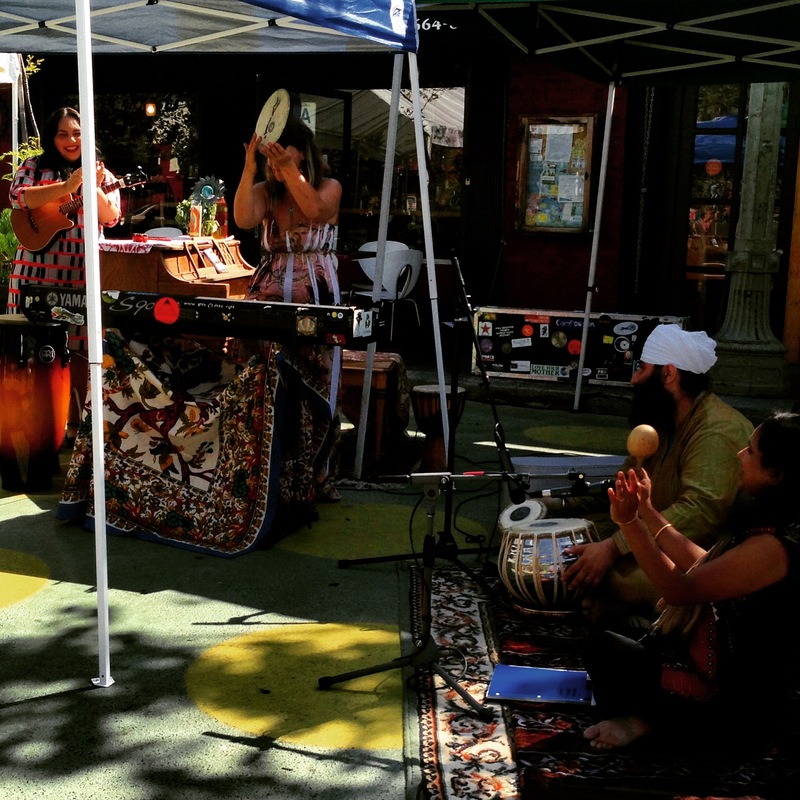 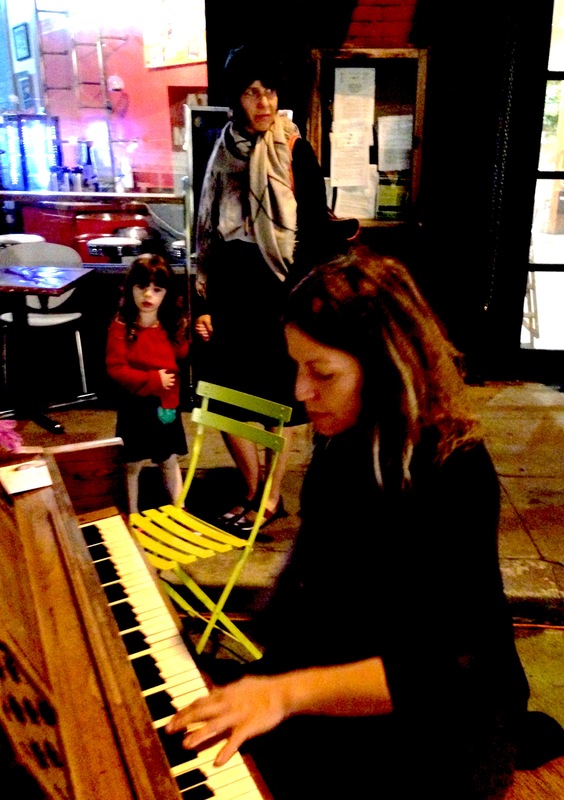 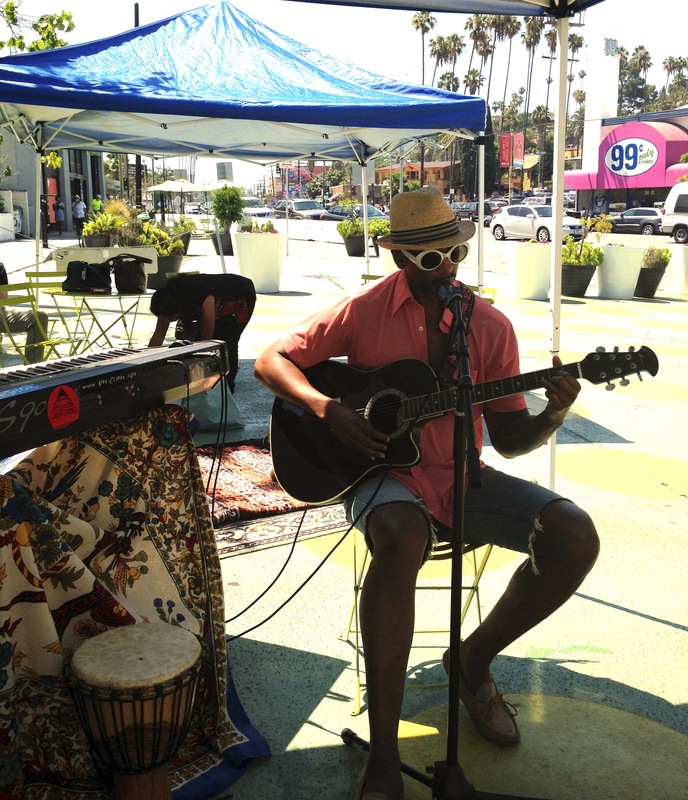 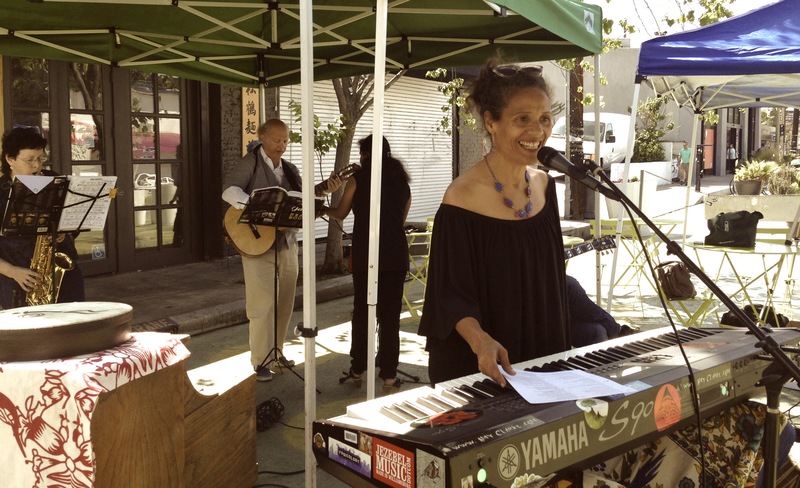 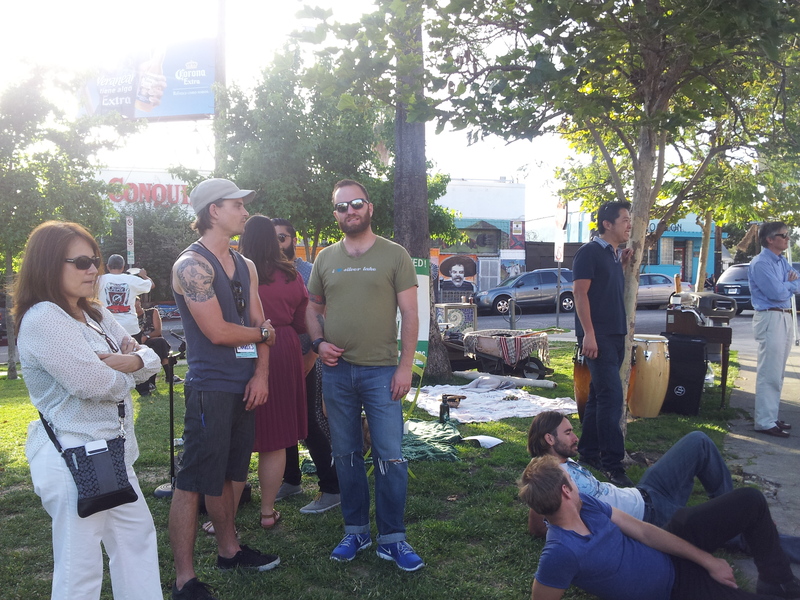 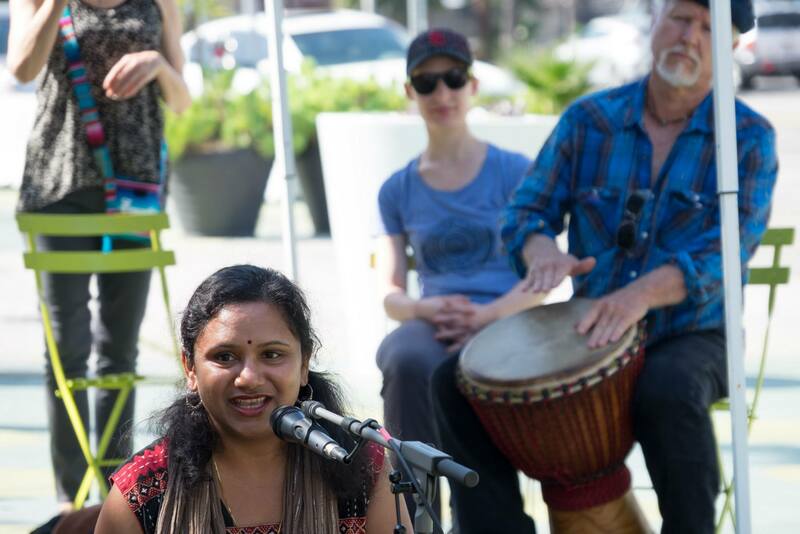 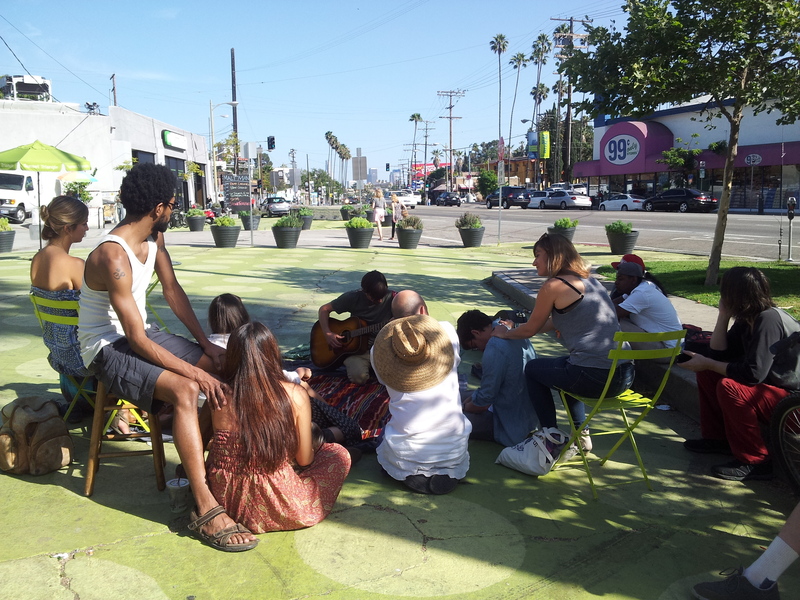 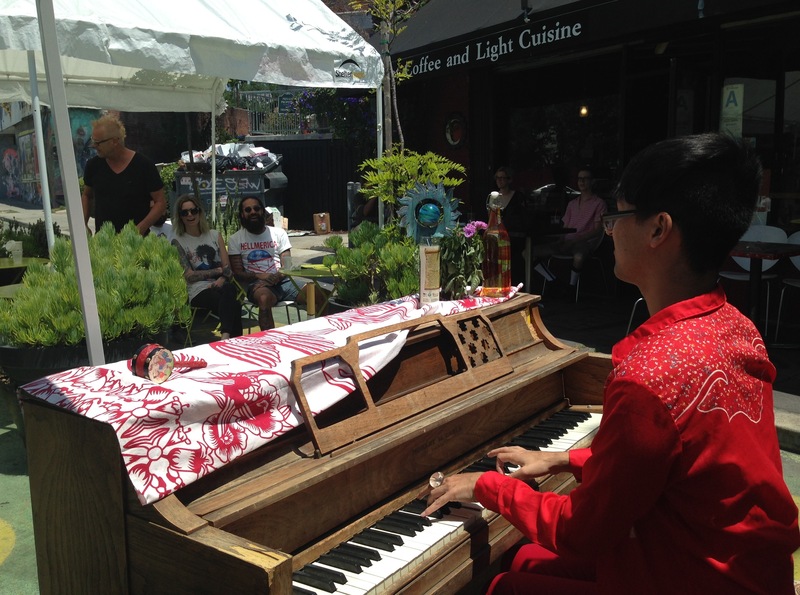 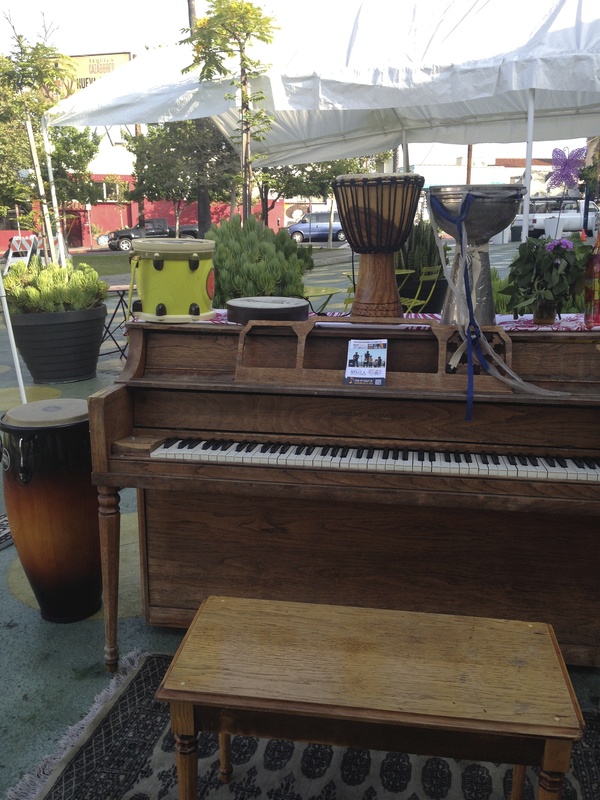 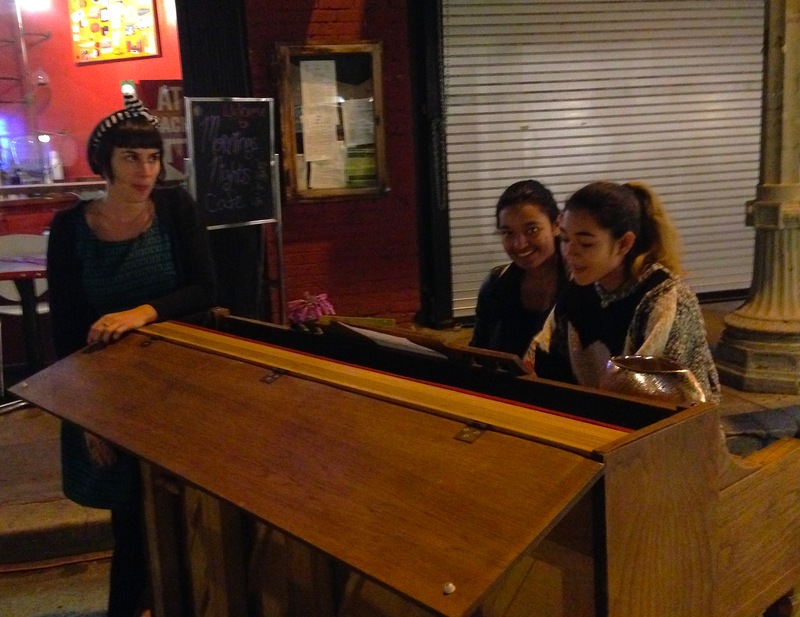 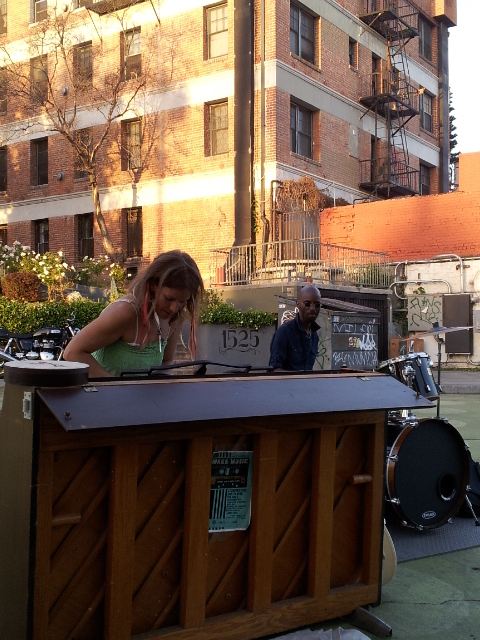 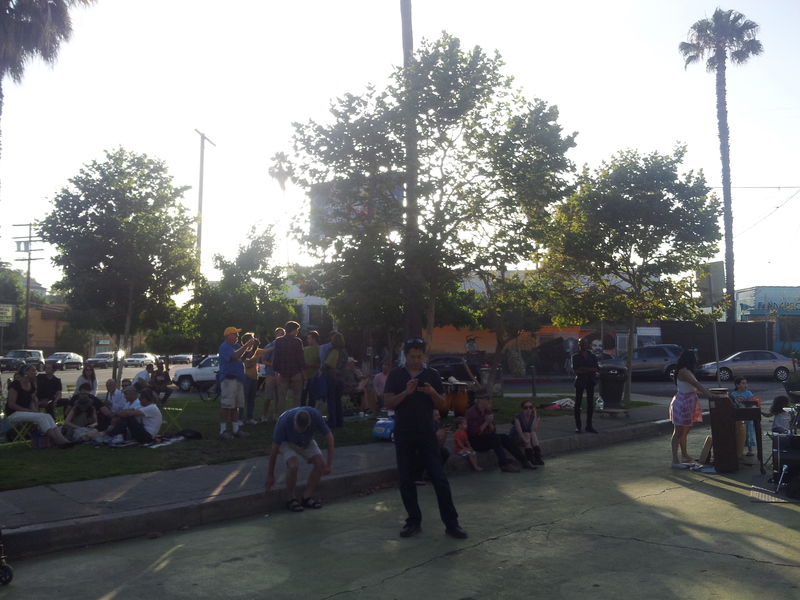 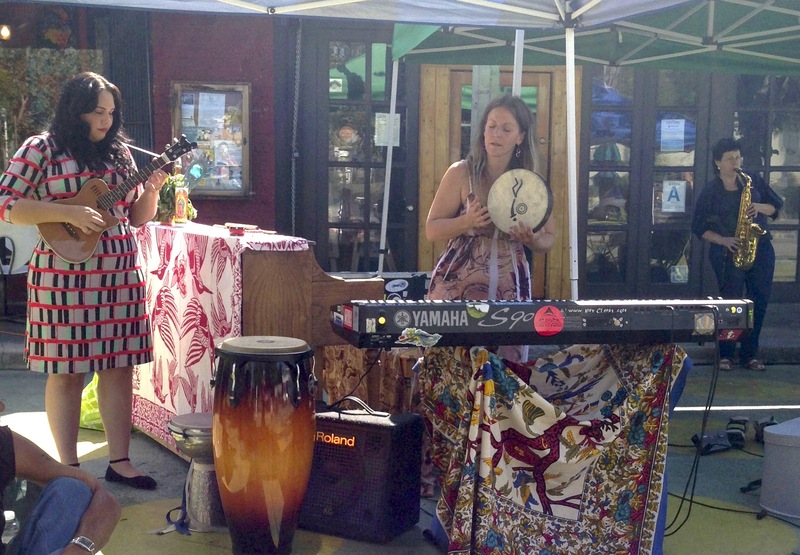 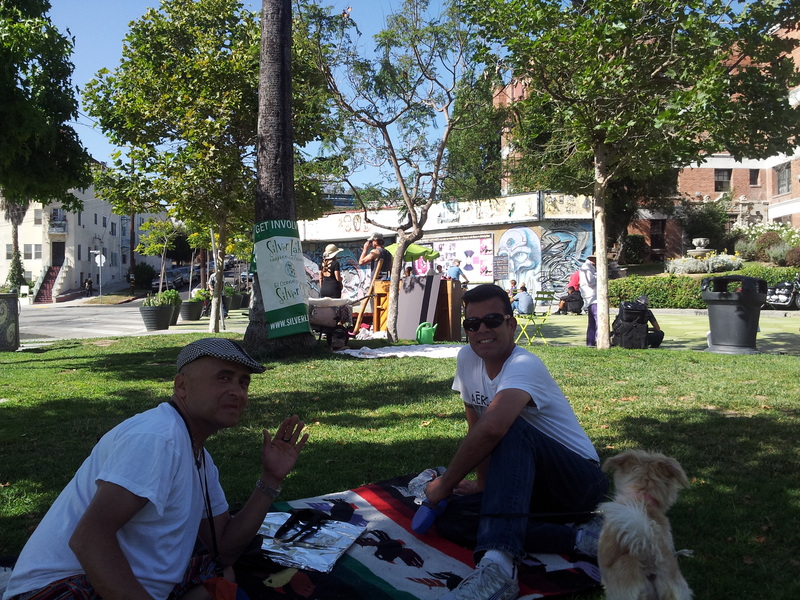 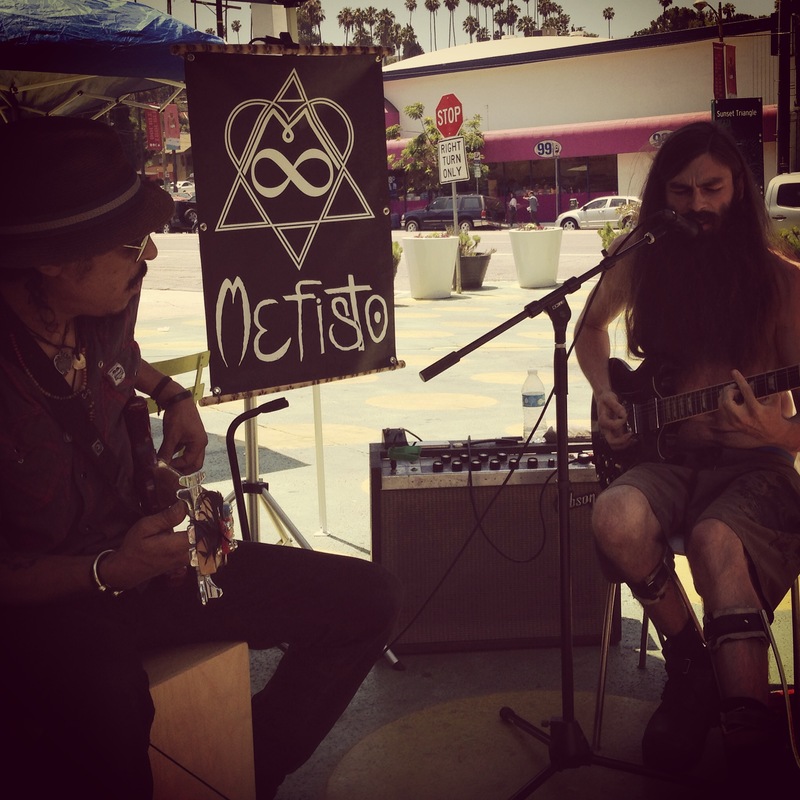 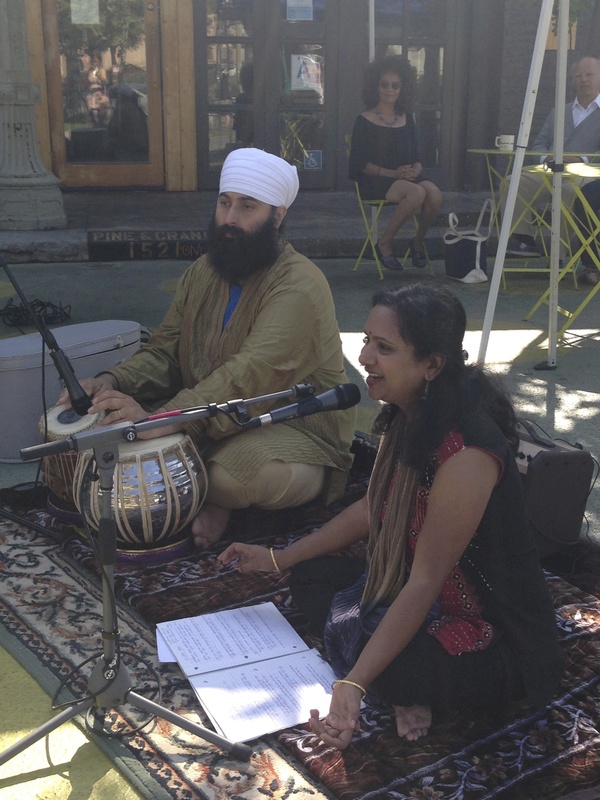 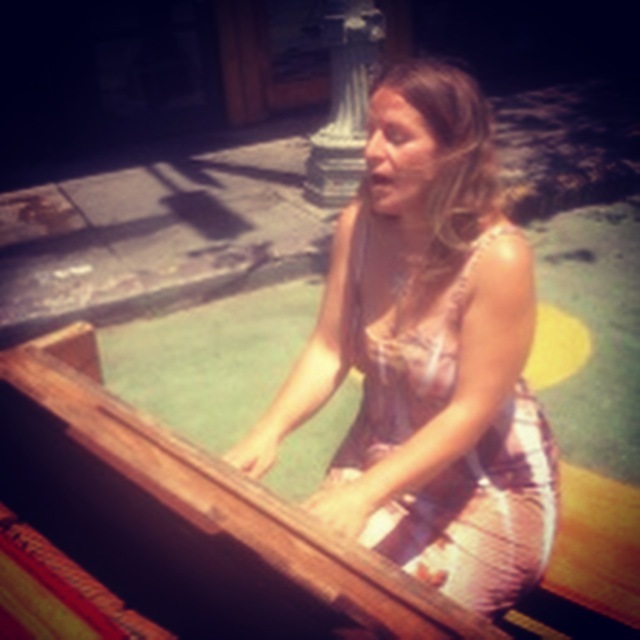 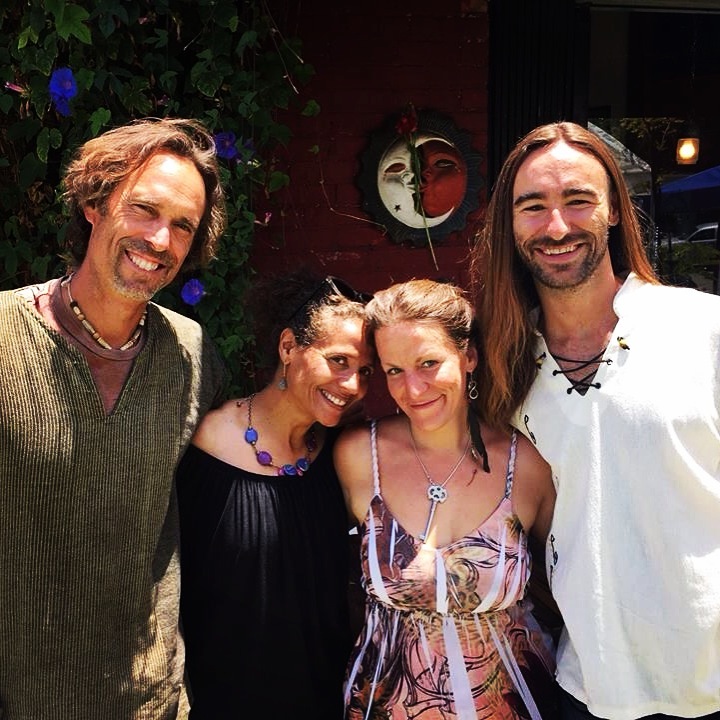 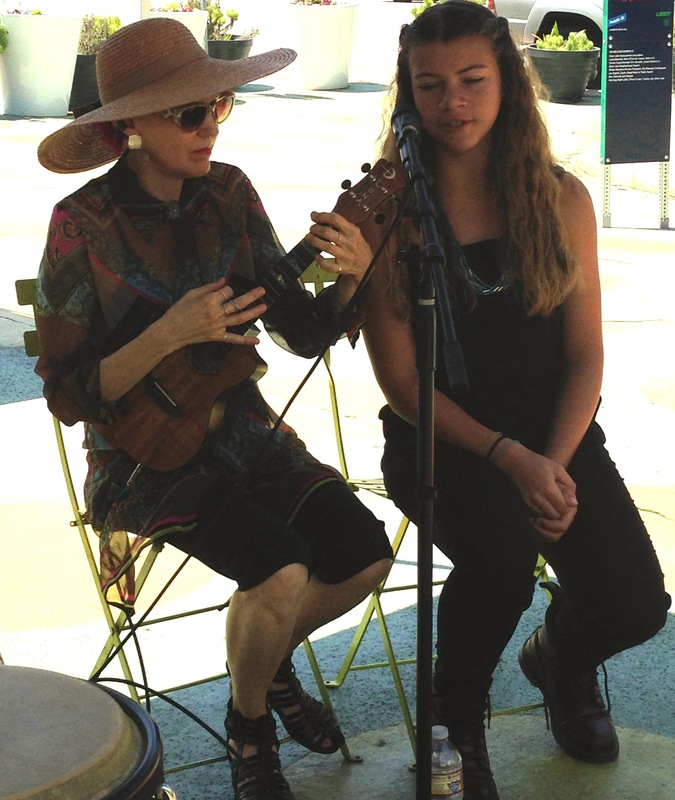 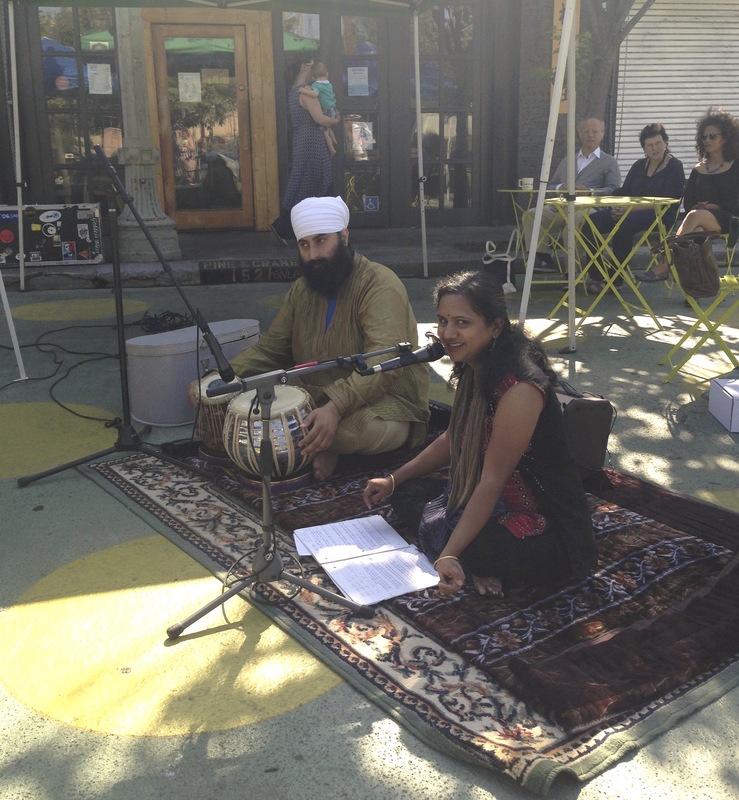 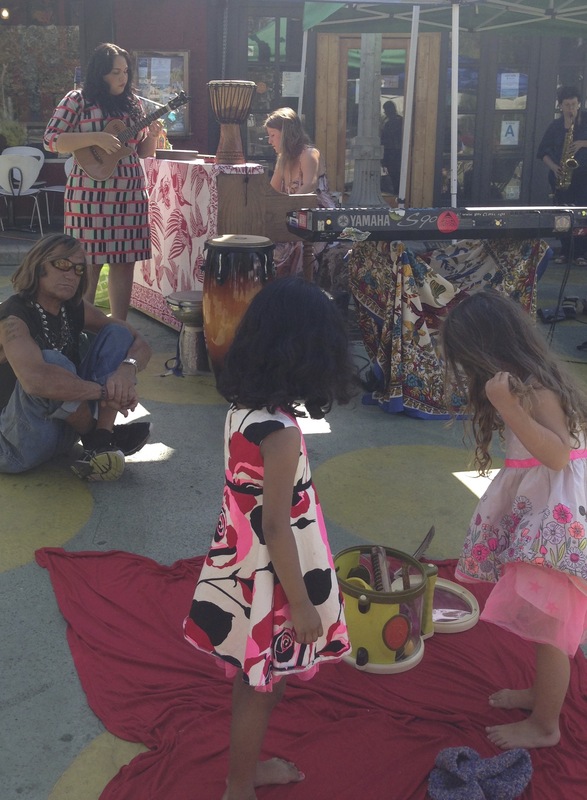 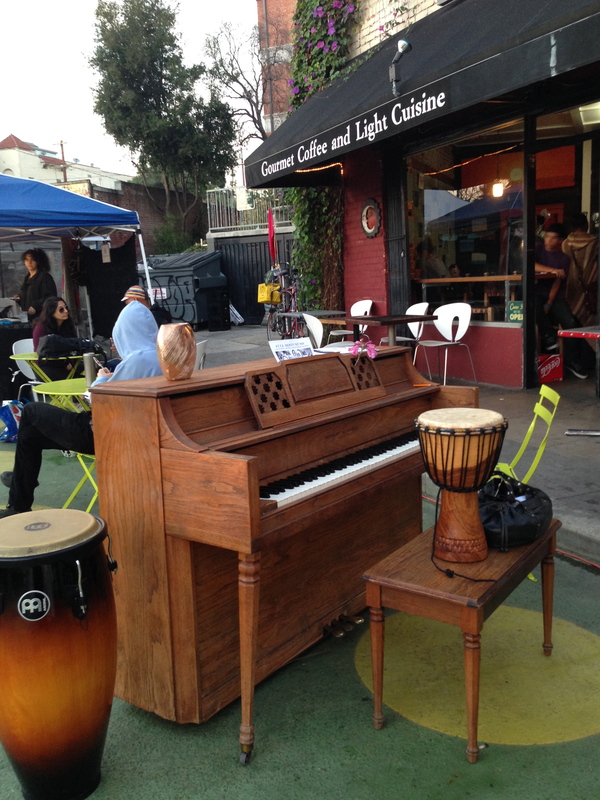 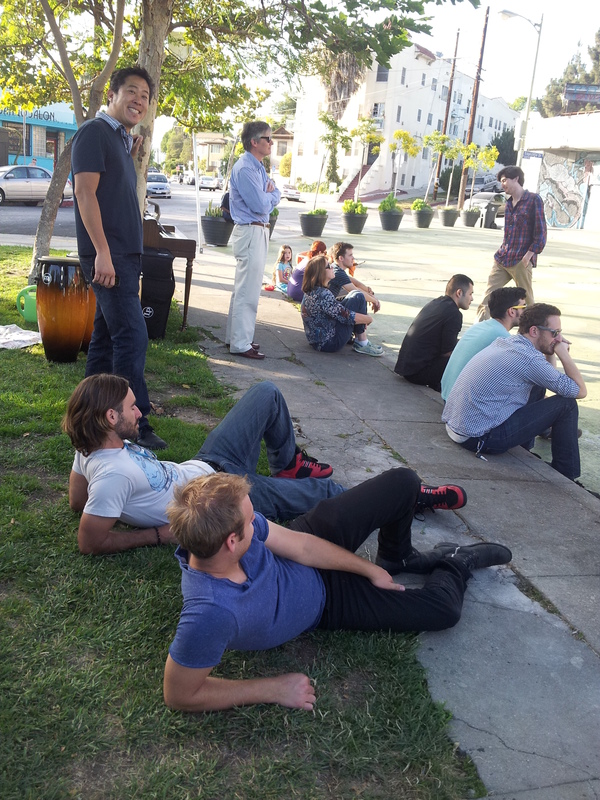 On Friday June 21, 2013, community came together for a Summer Solstice celebration of Make Music LA, part of the international Fete de la Musique started in France, celebrated in over 100 countries, and for the first time ever in 2013, the National Day of Music in the United States. 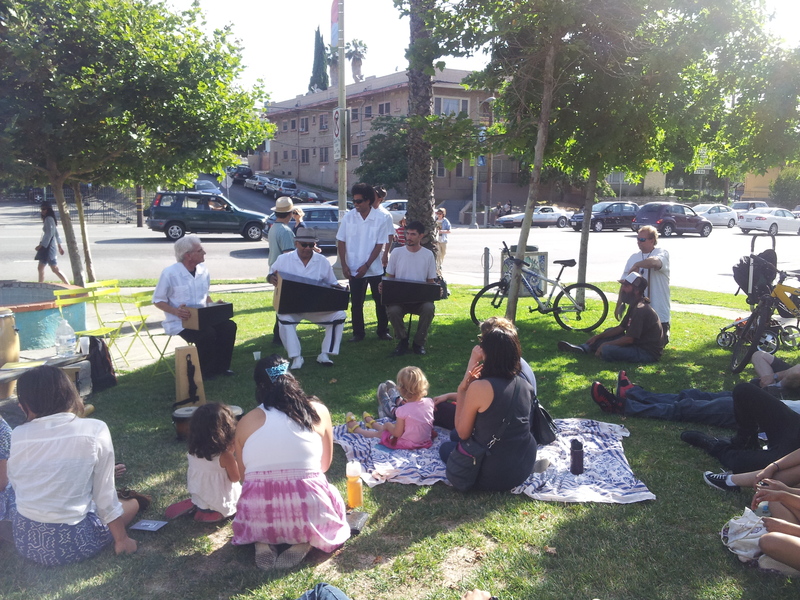 It was a beautiful day of making music outdoors all day long throughout Los Angeles with a unique concert hosted by the Silver Lake Neighborhood Council Arts & Culture Committee in Sunset Triangle Plaza at Edgecliffe, Griffith Park Blvd, & Sunset Blvd, the location of the regular Silver Lake Farmer’s Market and a quintessential neighborhood gathering place – also affectionately known by residents as “Polka Dot Plaza” the “Town Triangle” & the “Triangle Square”. 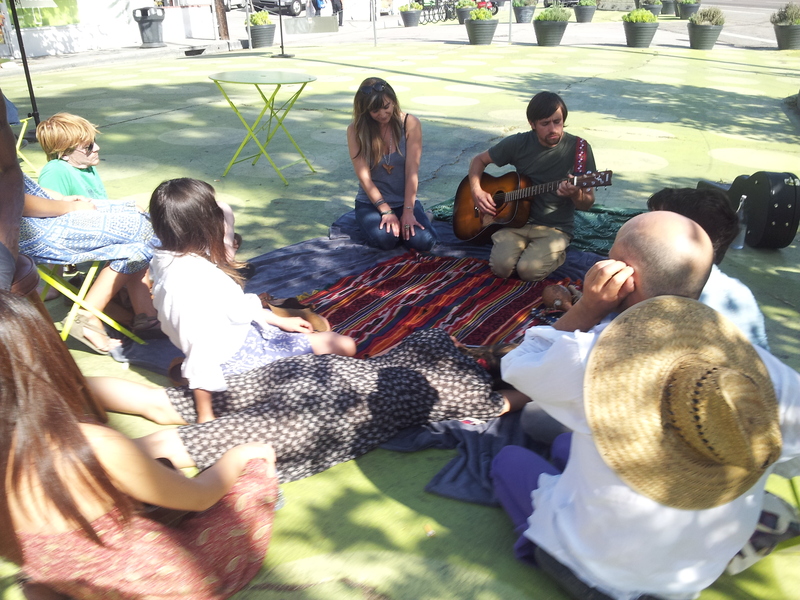 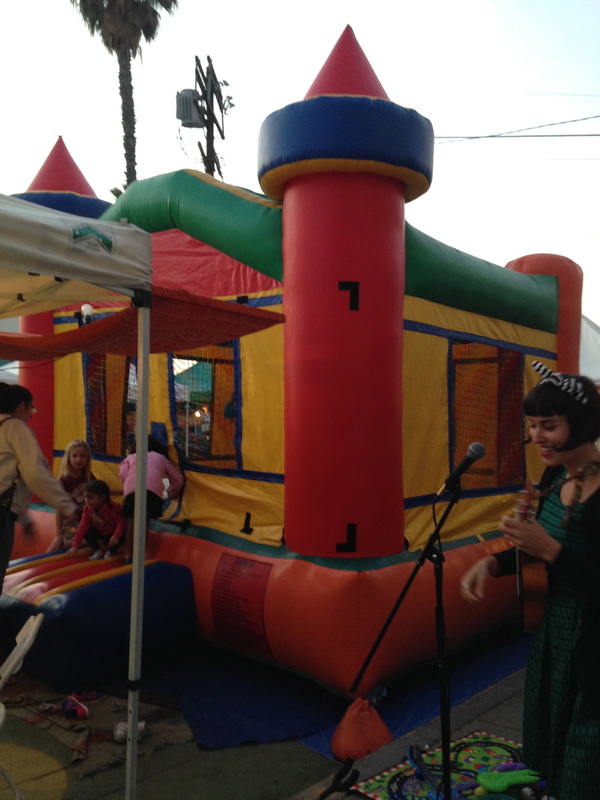 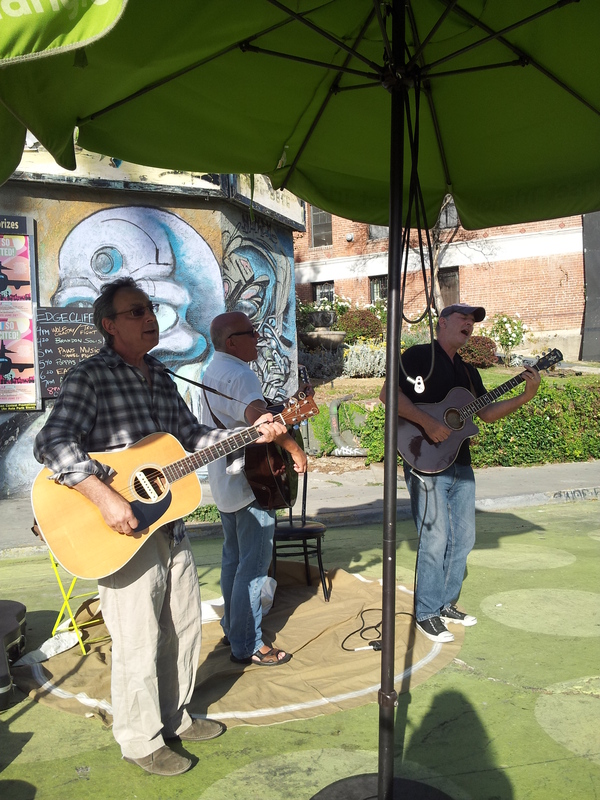 This sustainability-minded, lo-fi & grassroots concert produced with neighbor, community & volunteer assistance lasted about 5 hours from 4PM until just after sundown, and was 100% acoustic and unplugged – no mics, no cables, no amps, no power, no electricity at all. 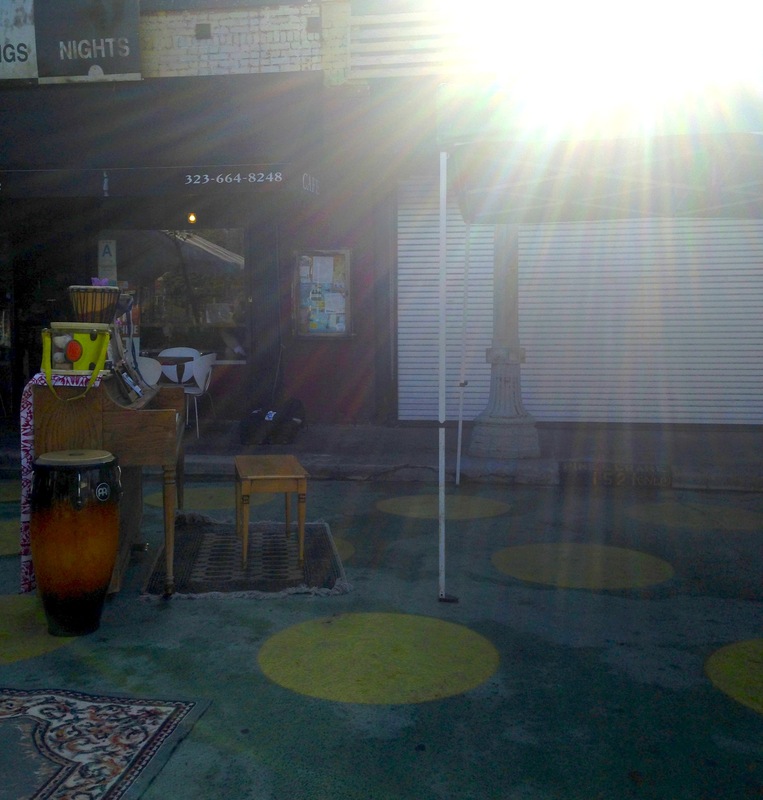 Mostly all instruments from congas, drums, shakers, tambourines, guitars, banjos, accordions, and yes, even a real piano (in a tip of the hat to the Laurel & Hardy silent film classic “The Music Box” also filmed in Silver Lake many years ago), were rolled, pushed in wheelbarrows, or walked into the plaza by local musicians and volunteers or were carried in on foot by neighbors and community members, as nearly all of the acts featured were locally based in Silver Lake. 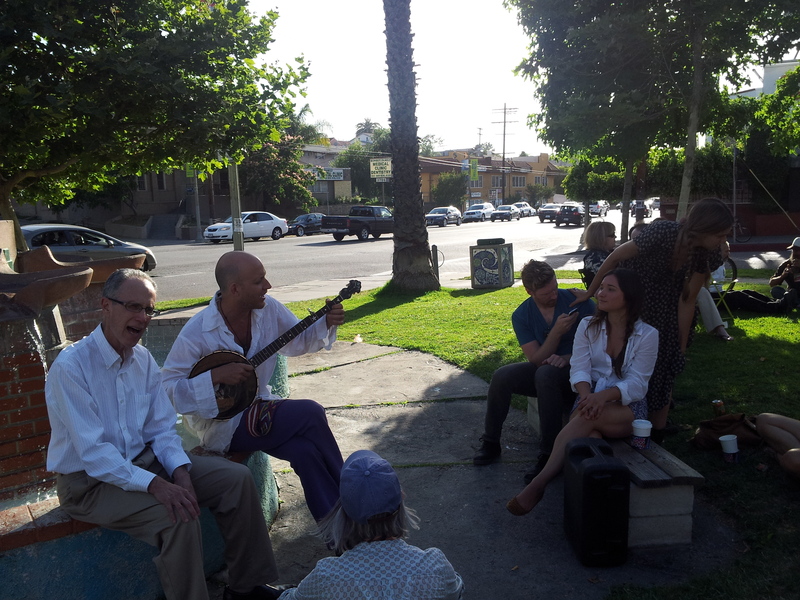 The event honored the mission of the Silver Lake Neighborhood Council – honoring diversity, innovation, and harmony – and included everything from middle & high school musicians, solo Native American/folk & R&B singer-songwriters, alt-folk, country, jazz, and pop duos, an Afro-Latin percussion ensemble & master teaching session, folk rock/Americana, fusion, alternative/world & funk rock bands etc, all performing alongside children & adults, with everyone joining in ~ from novice musicians to old pros. 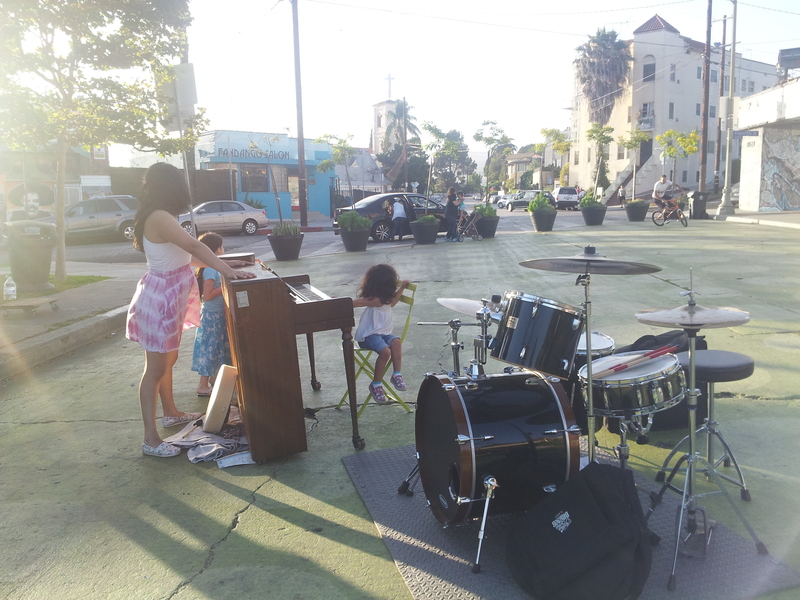 As the sun set in the west over this joyful Plaza gathering, even little children joined major name acts & musicians on stage in spontaneous co-creation, and the entire event closed with an all-inclusive community music jam featuring neighbors & community gathered around the piano, using voice, guitars, bass, congas, accordion, banjo, drums, and much more in an inspired celebration of the day. 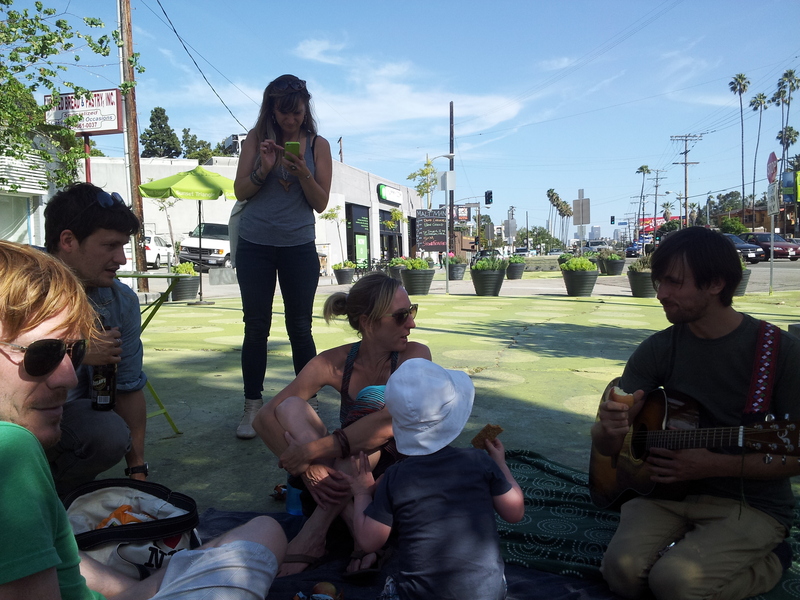 The photojournal below (with media by Gaia Grove) documents as much of the event as possible, and audio/video of the event will be shared soon. 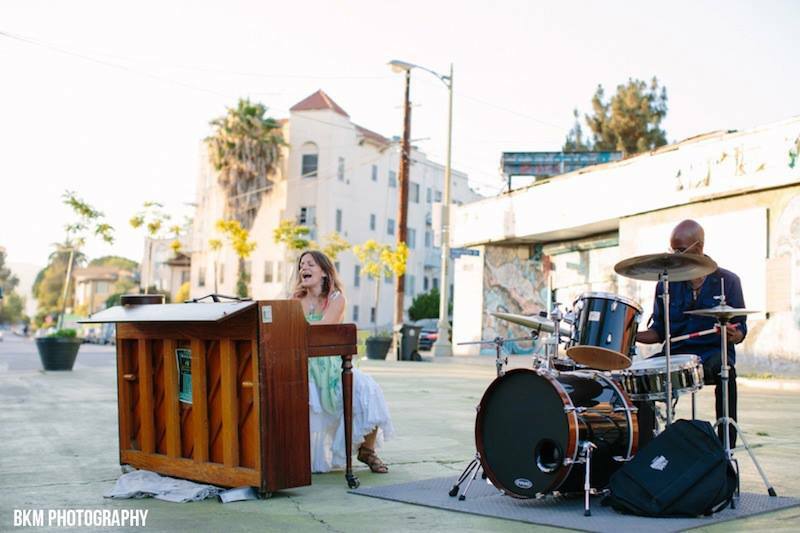 For more images, please visit fabulous local Silver Lake photographer Brittany Kalag Margulieux of BKM-Photography‘s Make Music L.A. – Silver Lake album on Facebook. 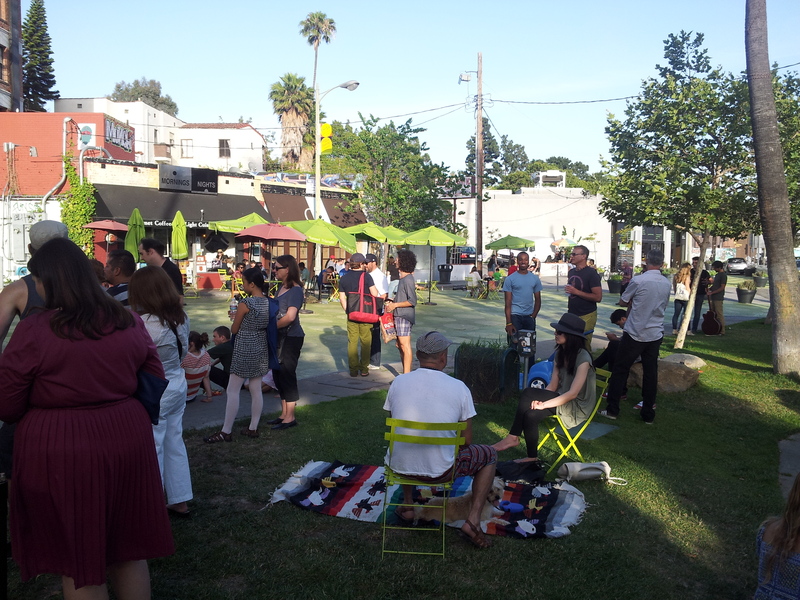 Huge hugs, deep gratitude & thank yous to (to name a few) the Silver Lake Improvement Association, Sunset Triangle Plaza, the 2nd Annual Make Music Los Angeles, Dorsay Dujon, Genelle Le Vin, Kevin Bannerman, the Silver Lake Neighborhood Council Governing Board, Silver Lake Neighborhood Council Arts & Culture Committee, Silver Lake Neighborhood Council Arts & Culture Committee, Silver Lake Neighborhood Assembly, Mornings & Nights Cafe, Gaia Grove, Jody and everyone who helped move the piano, Micheltorena Elementary School, Micheltorena Elementary Garden, Make Music Silver Lake (http://www.makemusicsilverlake.org – coming soon…) countless volunteers, community members and friends. 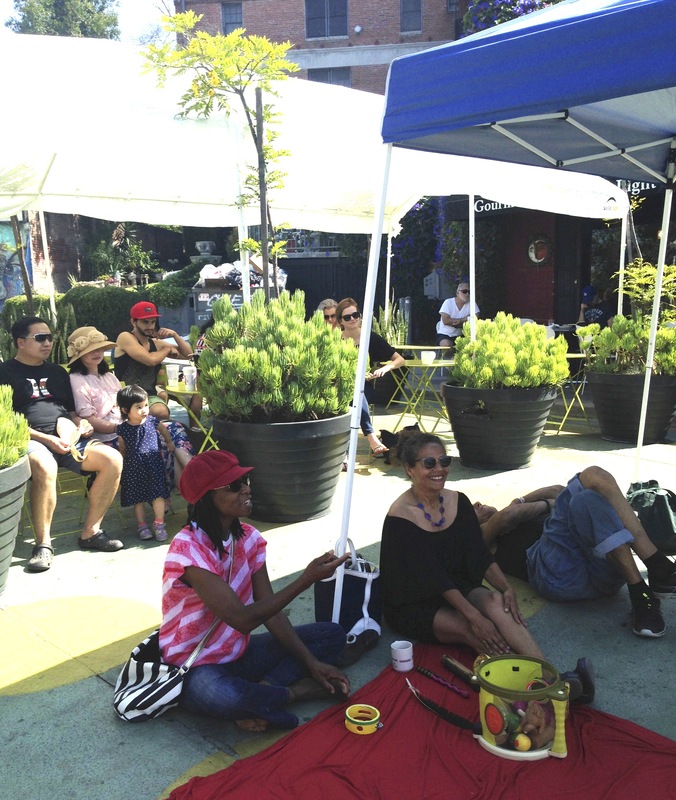 We look forward to music all year long and the 3rd Annual Make Music Los Angeles scheduled to take place on SATURDAY JUNE 21, 2014.